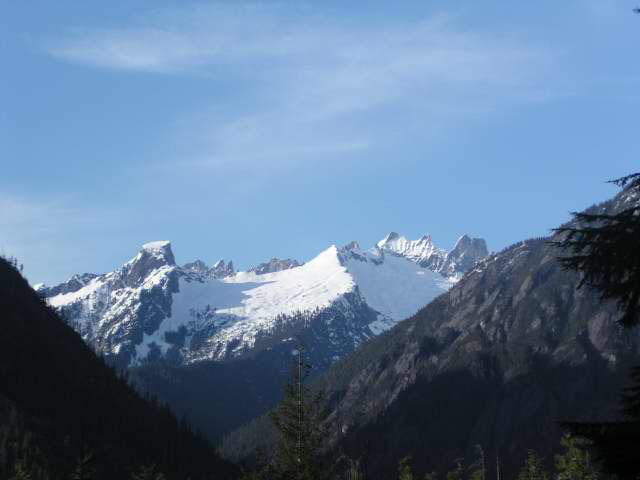 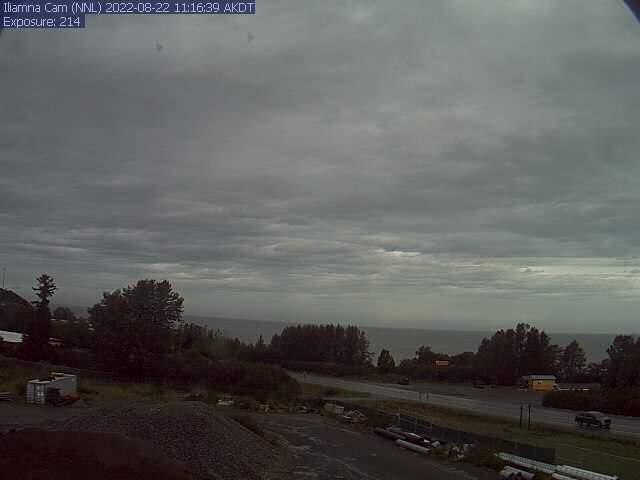 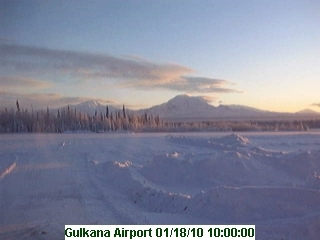 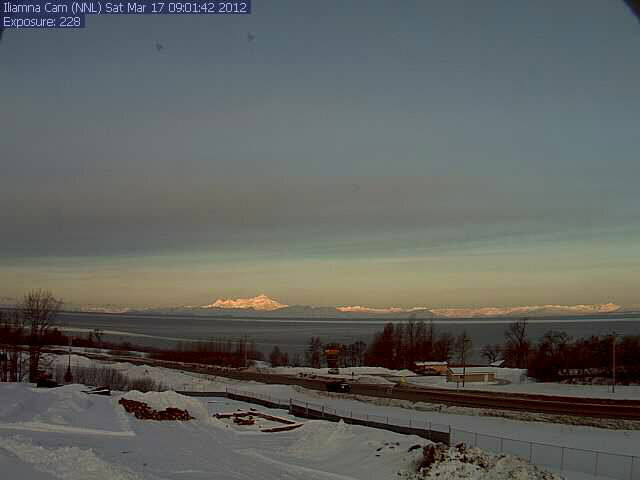 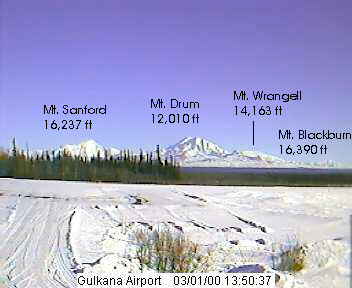 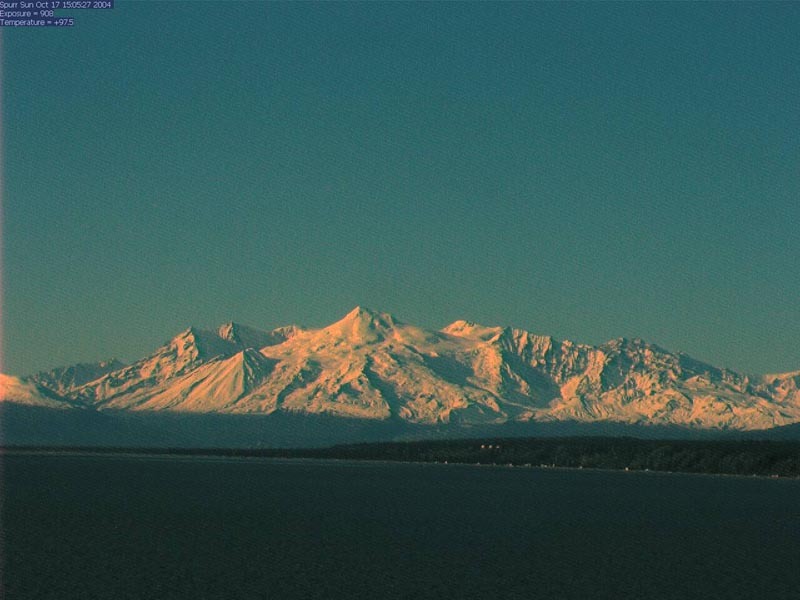 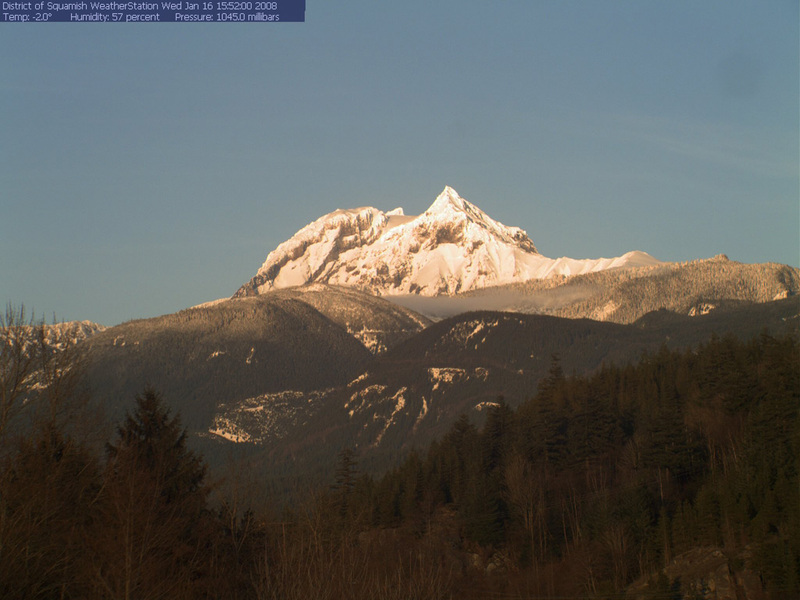 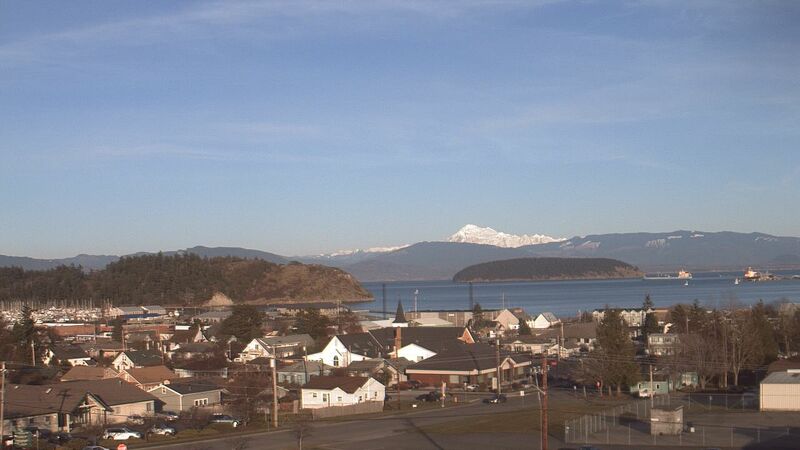 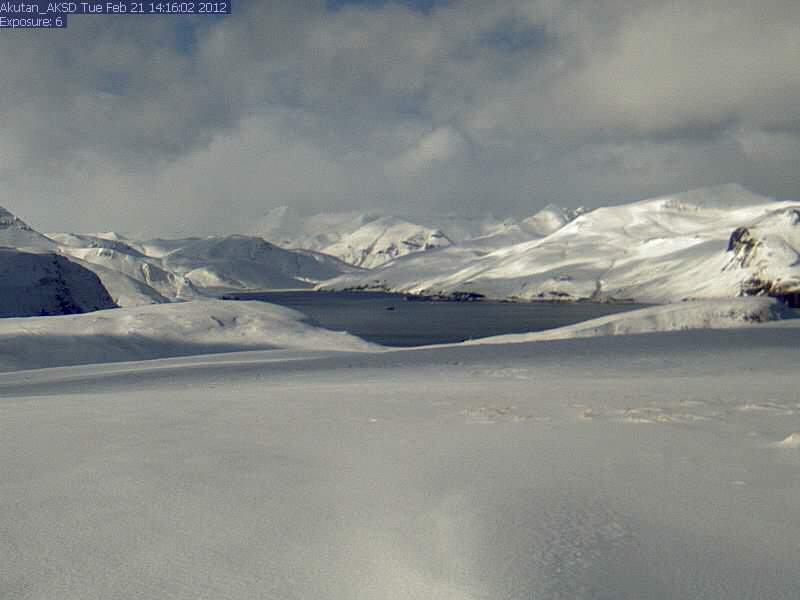 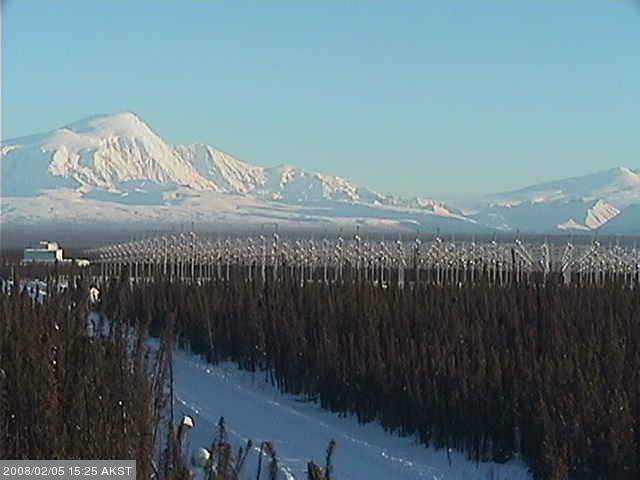 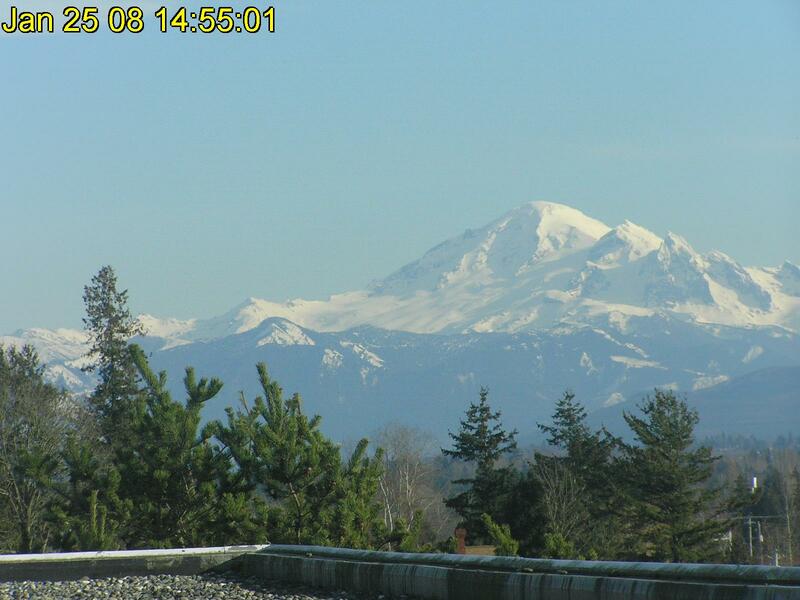 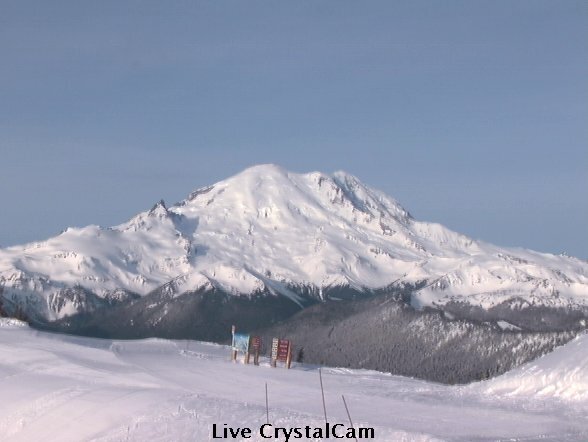 Mountain WebCams Pages: Alaska (except SE) SE Alaska, Yukon, & Northern BC SW British Columbia Washington Oregon N California Sierra Nevada S California Hawaii Antarctic . 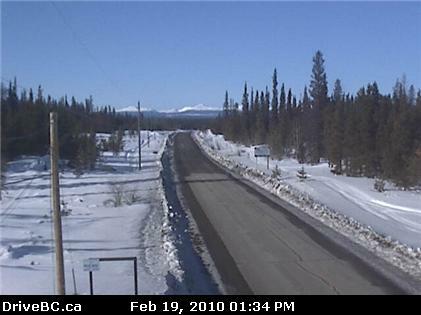 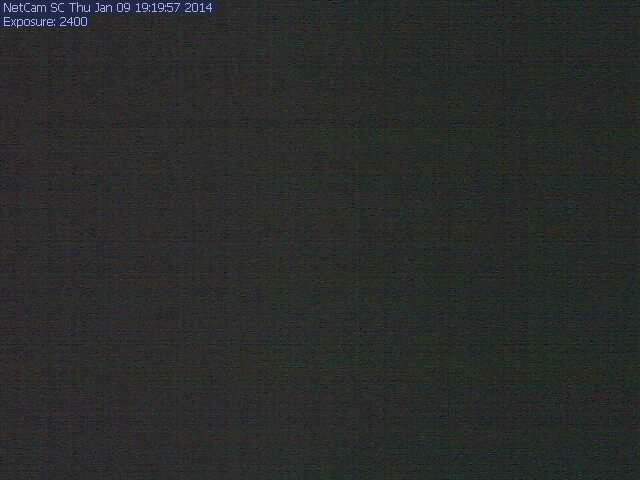 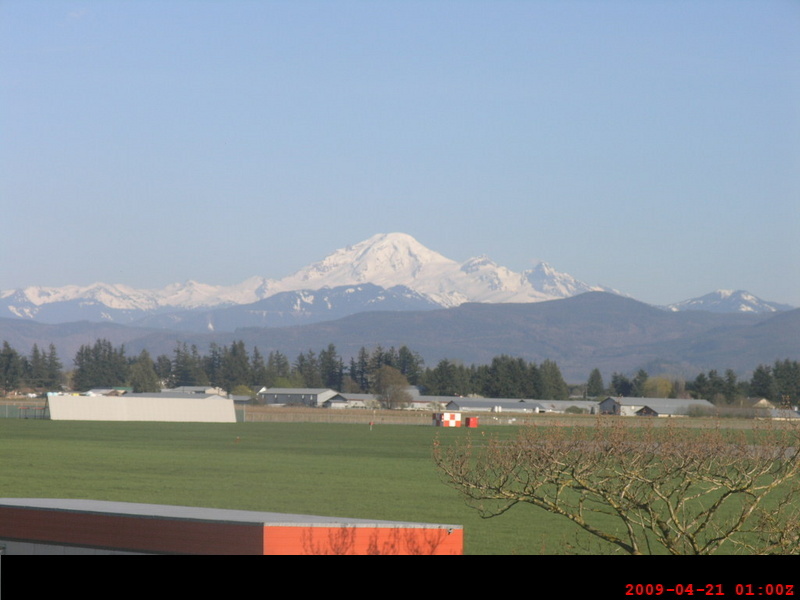 This page shows views of weather conditions throughout the Cascade Range from British Columbia to California, with a bonus section at the end looking at other skiable volcanoes in North America plus Hawaii. 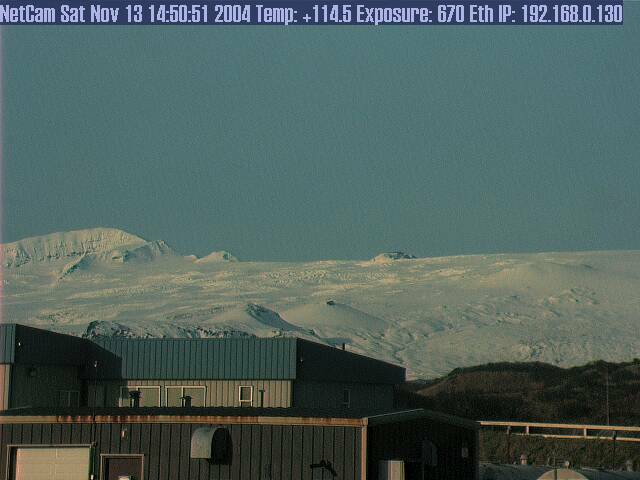 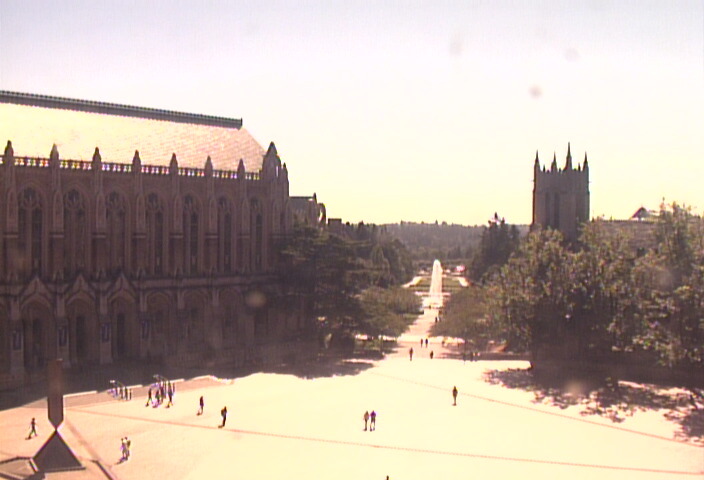 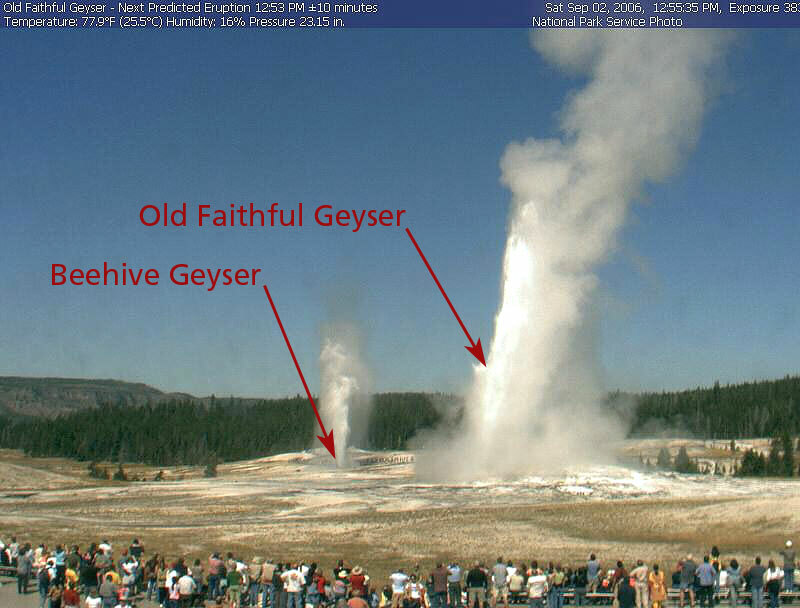 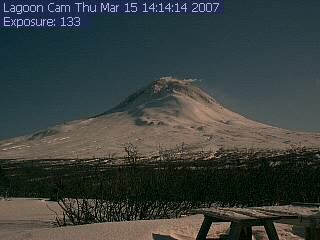 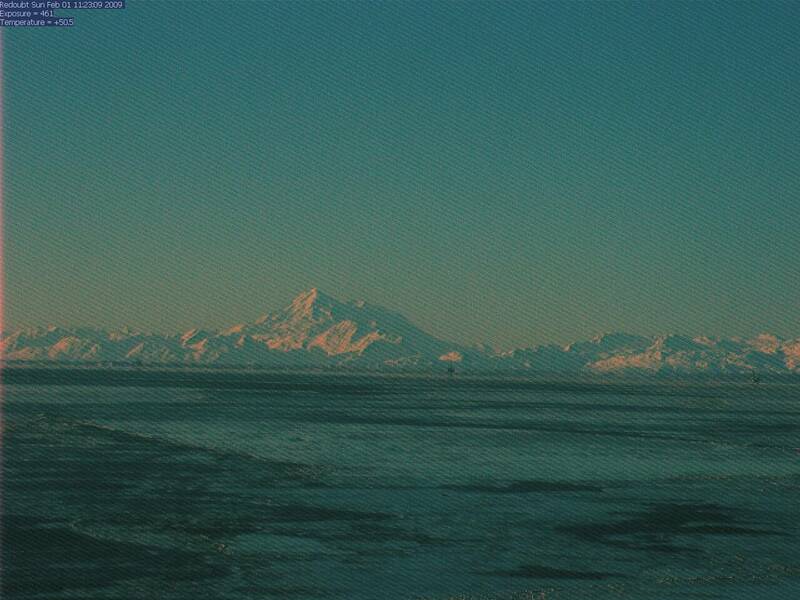 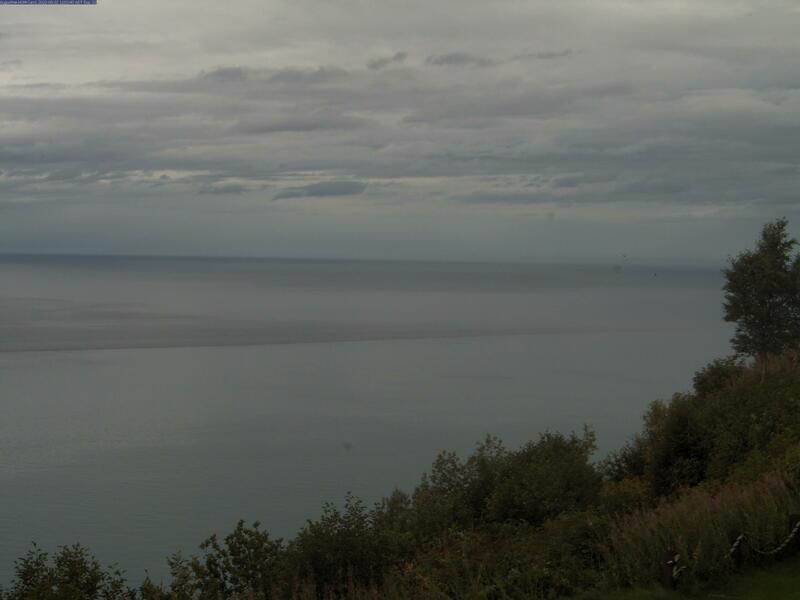 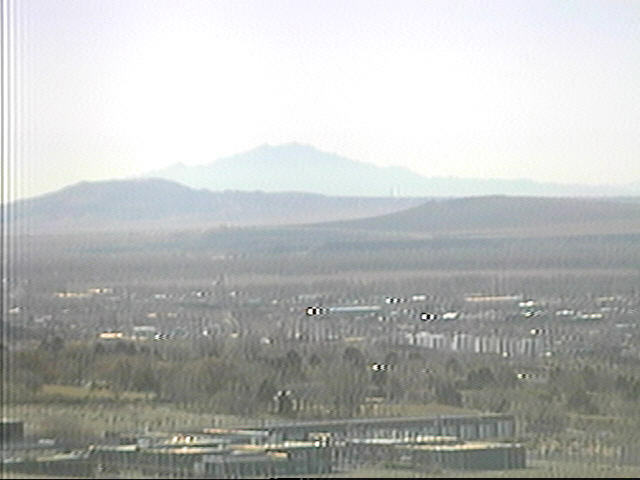 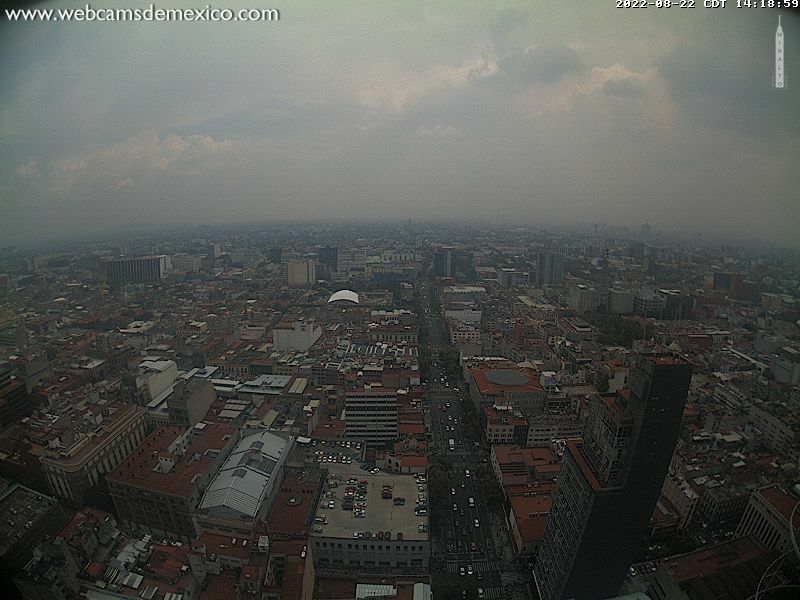 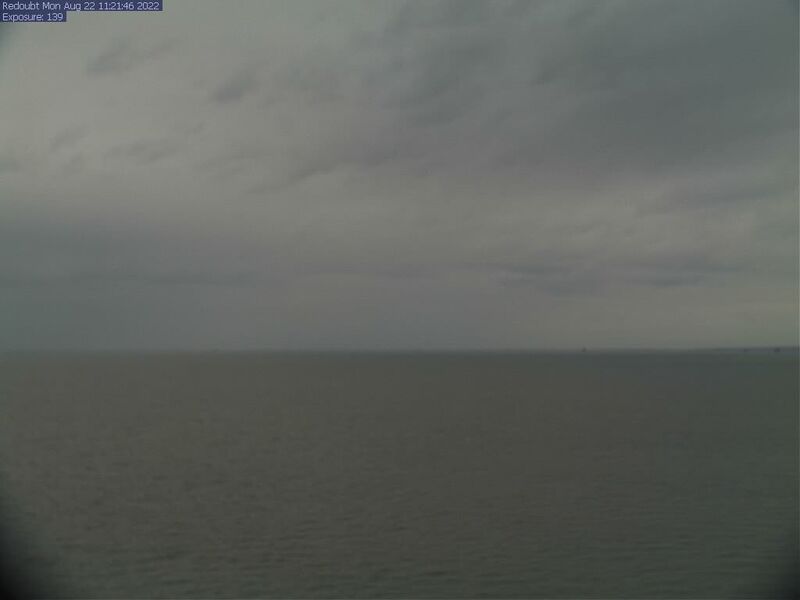 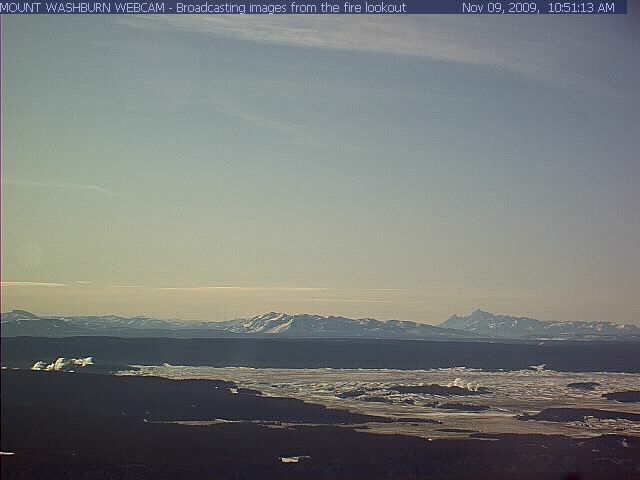 It has grown enormously from its modest beginnings in May 2000, when only 8 webcams were shown. 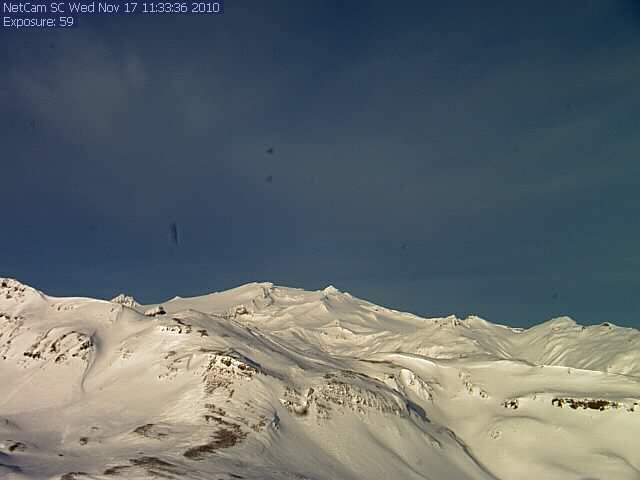 There are now 100 webcams shown on this page and well over 200 more webcams linked from it, along with over 1500 total camera views shown on over 30 linked Mountain WebCams pages. 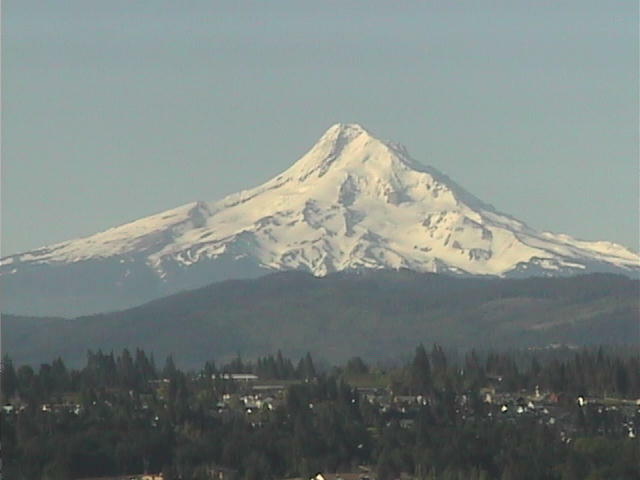 In clear weather, this page regularly shows over 25 of the Cascade volcanoes (with several others visible occasionally when cameras are aimed in alternate directions), plus over 40 other volcanoes in the rest of North America and Hawaii. 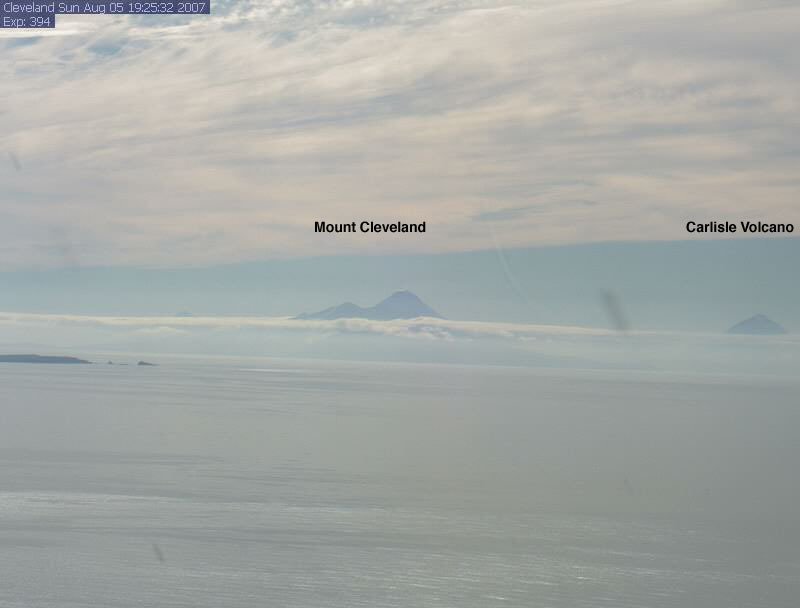 This page now covers about 1/4 of the Pacific Ring of Fire, extending from the Aleutian Islands of Alaska through the West Coast and down to Mexico. 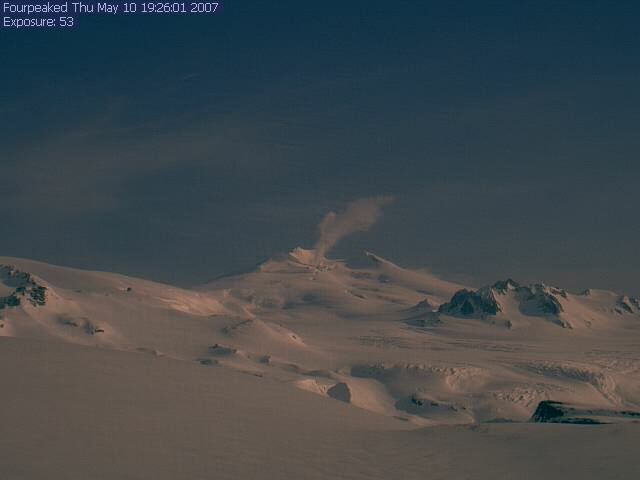 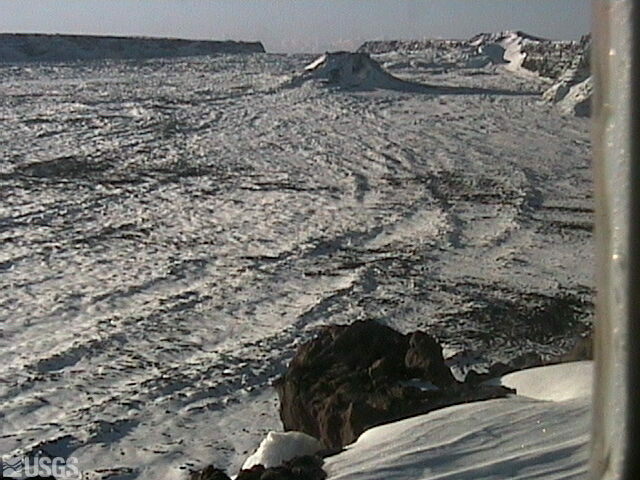 In addition, the newer Volcano WebCams around the Pacific Ring of Fire and Beyond page (created in November 2009) shows views of over 60 other skiable volcanoes around the rest of the Ring of Fire and throughout the world. 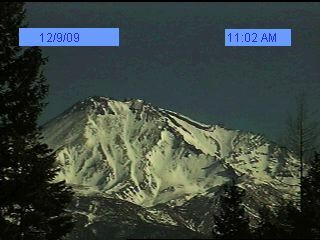 The regions shown on this page span a total of 5 time zones in winter and 6 time zones in summer, from the Hawaii-Aleutian TIme Zone (UTC-10 year round in Hawaii, which does not observe DST) through Alaska Time, Pacific Time, and Mountain Time all the way east to central Mexico and the Central Time Zone (UTC-6 in winter, UTC-5 in summer). 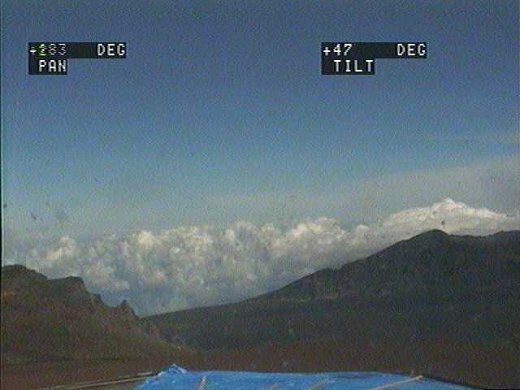 The current time and time zone information are now displayed for each region. 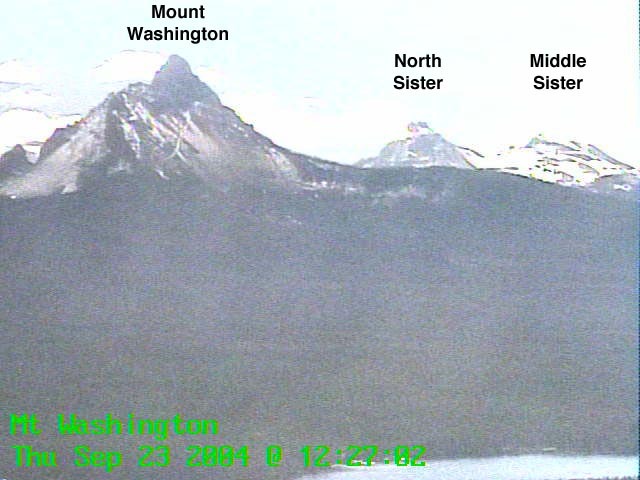 The elevation of each camera is listed beside it (approximate in some cases). 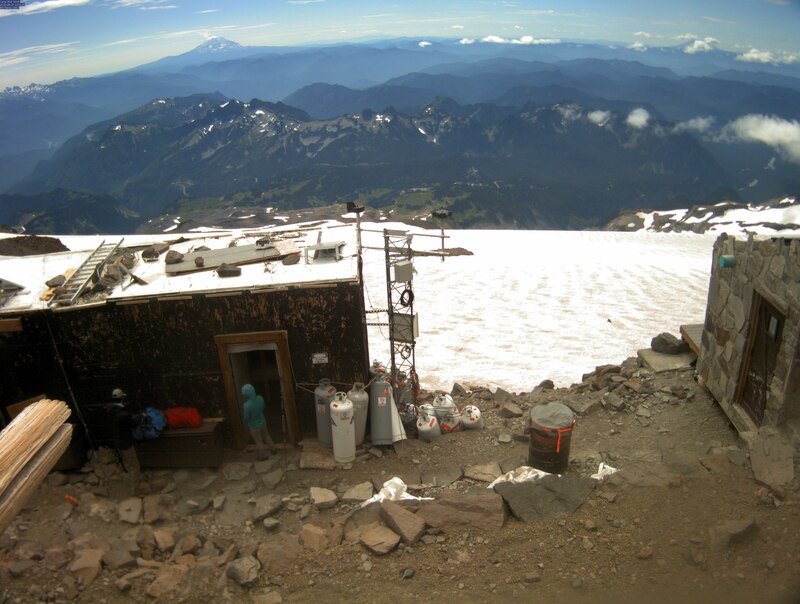 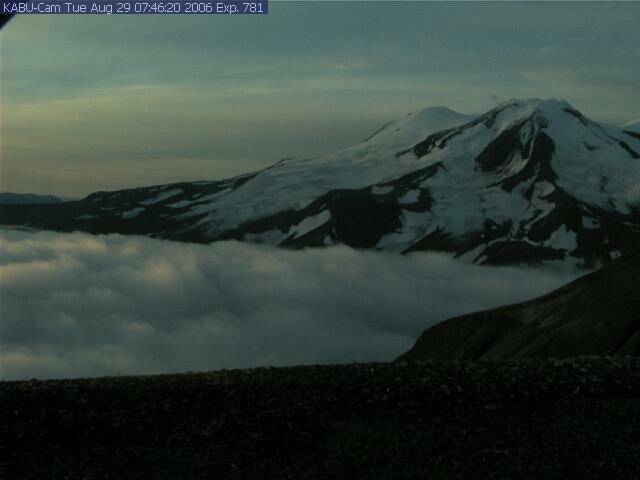 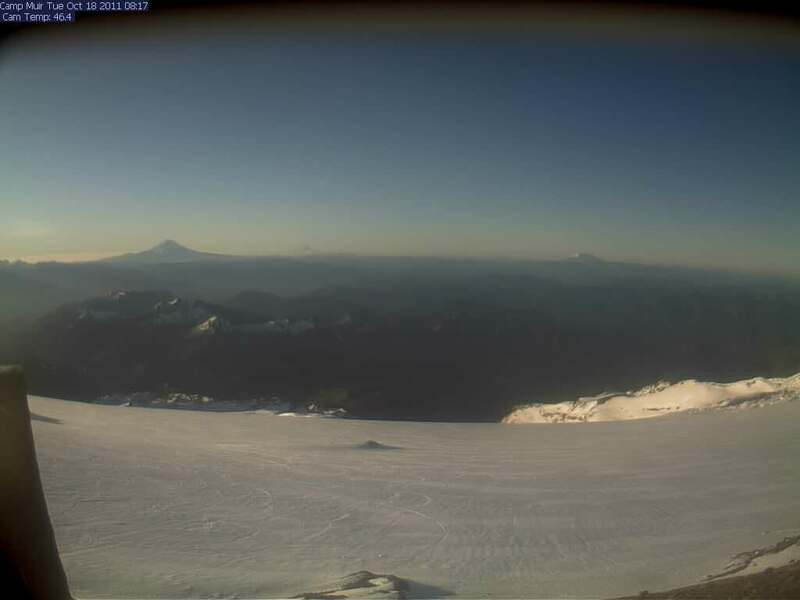 As of 2013, the highest webcam in the Cascade Range is the Camp Muir webcam at 10100 ft on Mount Rainier, which was installed in May 2011. 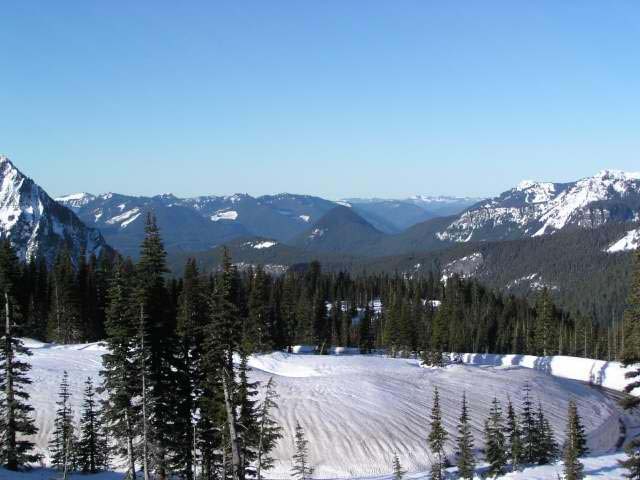 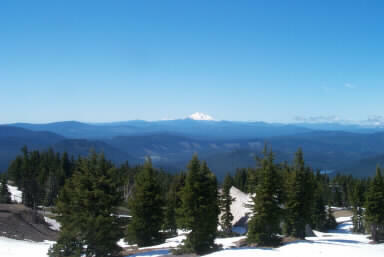 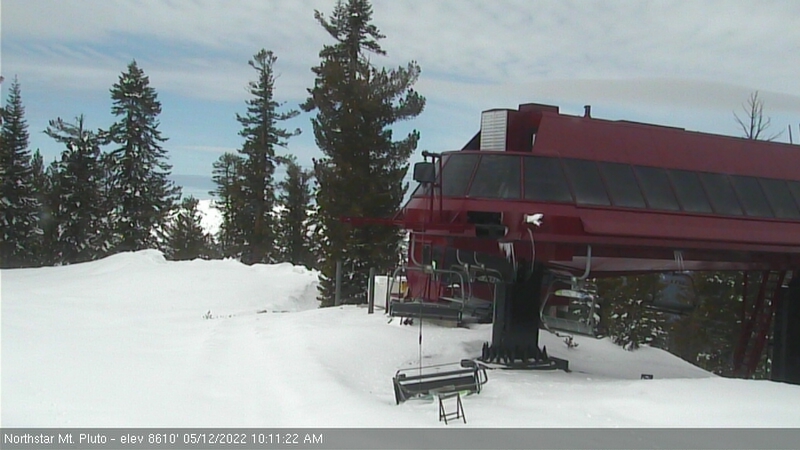 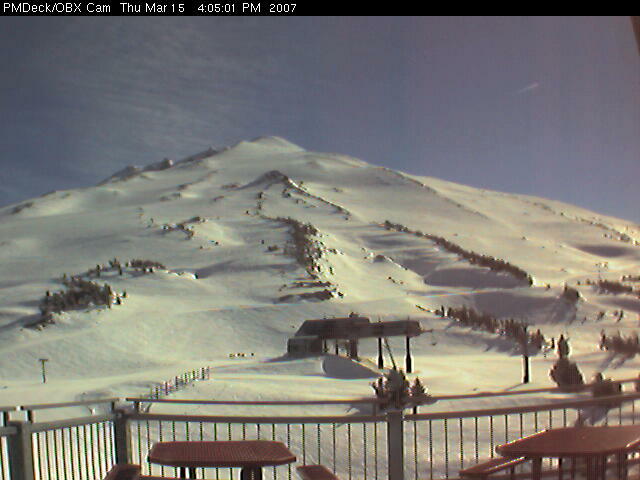 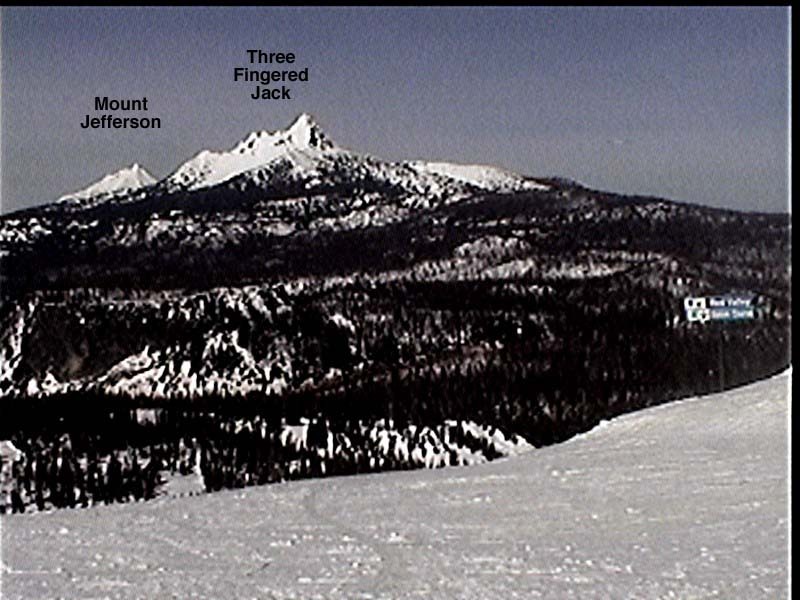 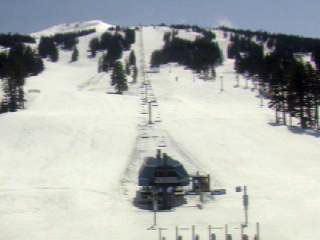 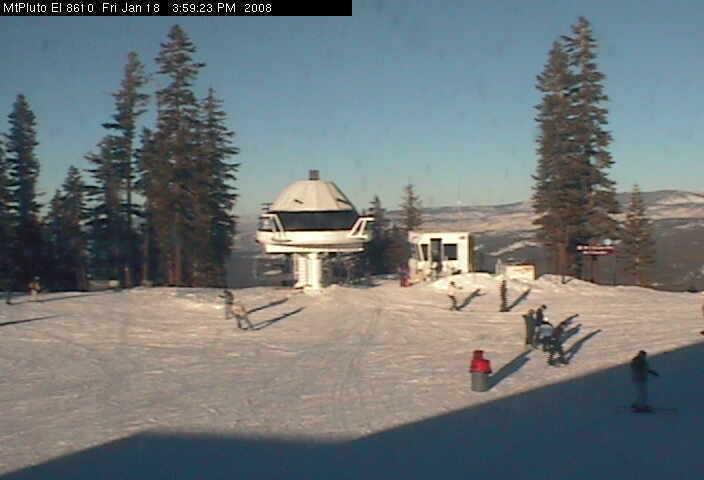 Prior to that installation, for many years the highest webcams in the Cascades were on Mount Bachelor, including the two at Pine Marten Lodge (7700 ft) looking south at the summit and north at the Three Sisters, and another at at the bottom of the Summit chairlift (7300 ft). 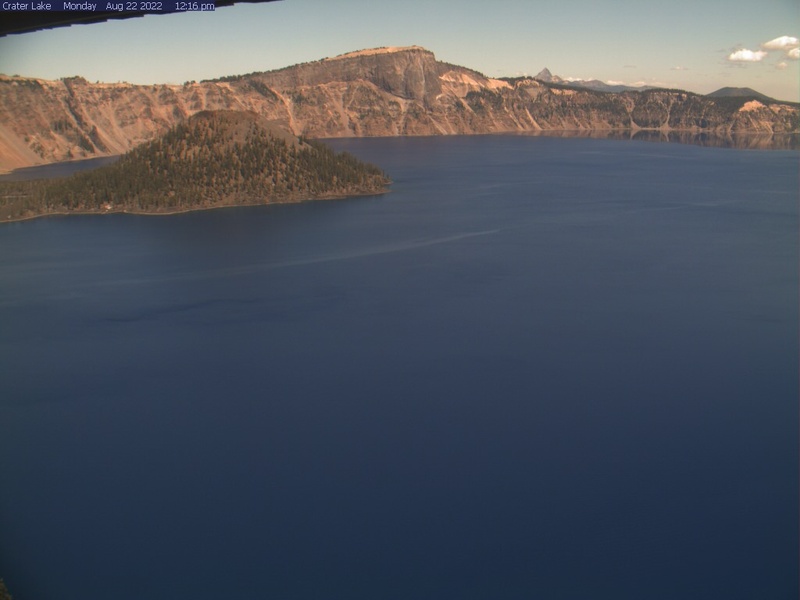 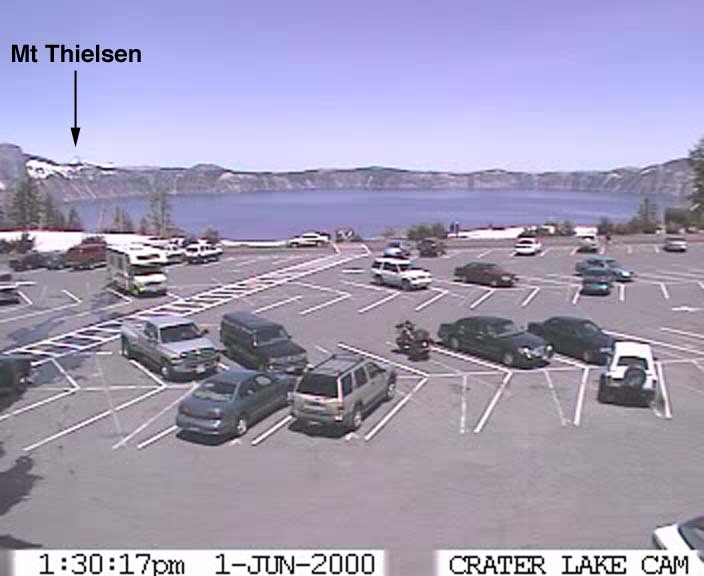 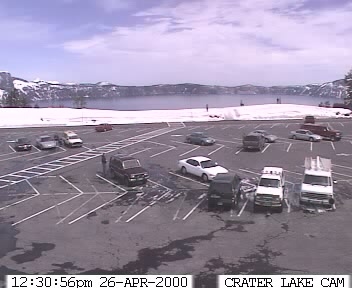 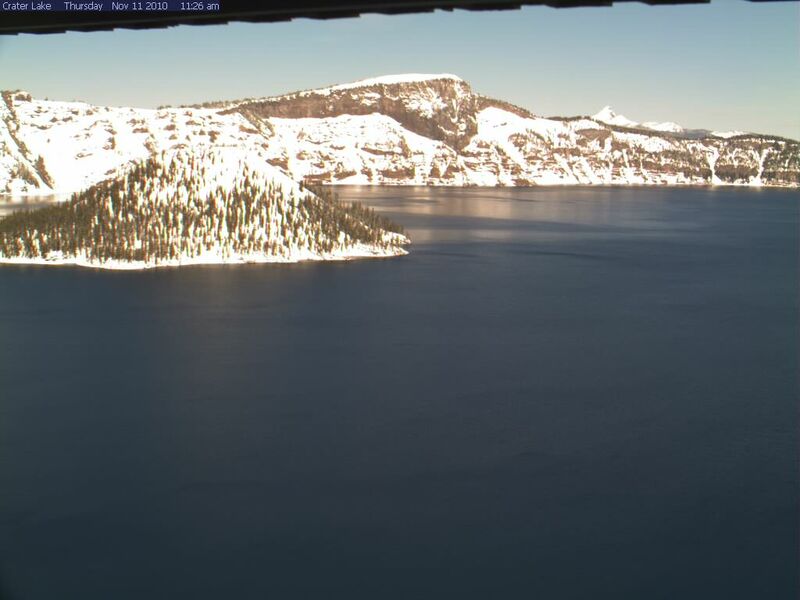 Prior to those installations around 2004, the highest webcam in the Cascades had been the Crater Lake Crater Cam at 7100 ft. 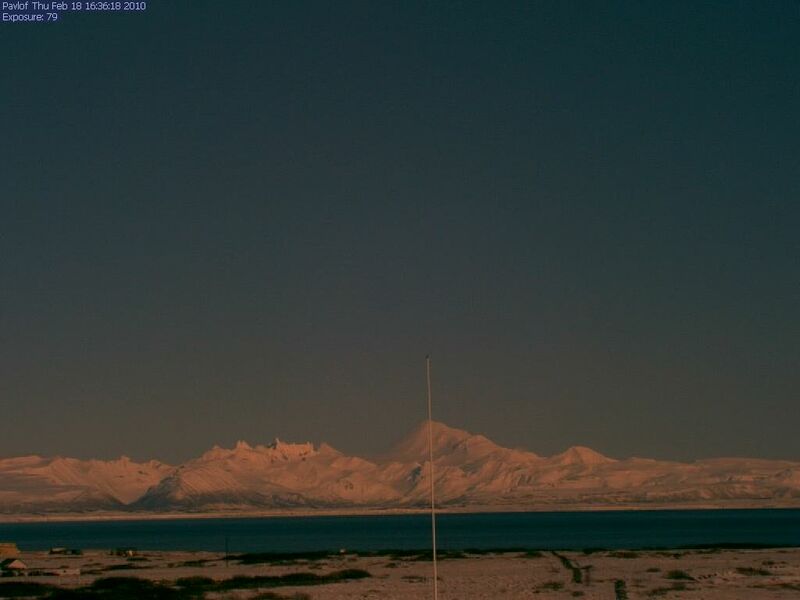 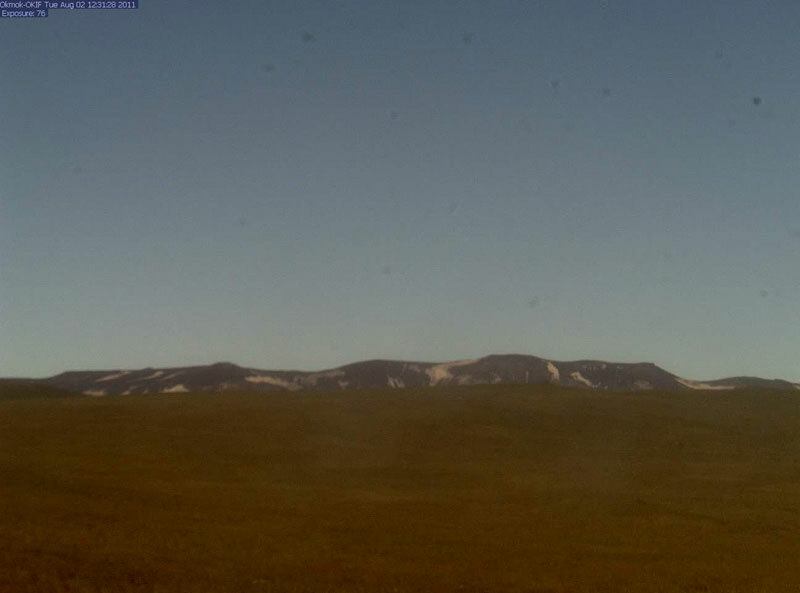 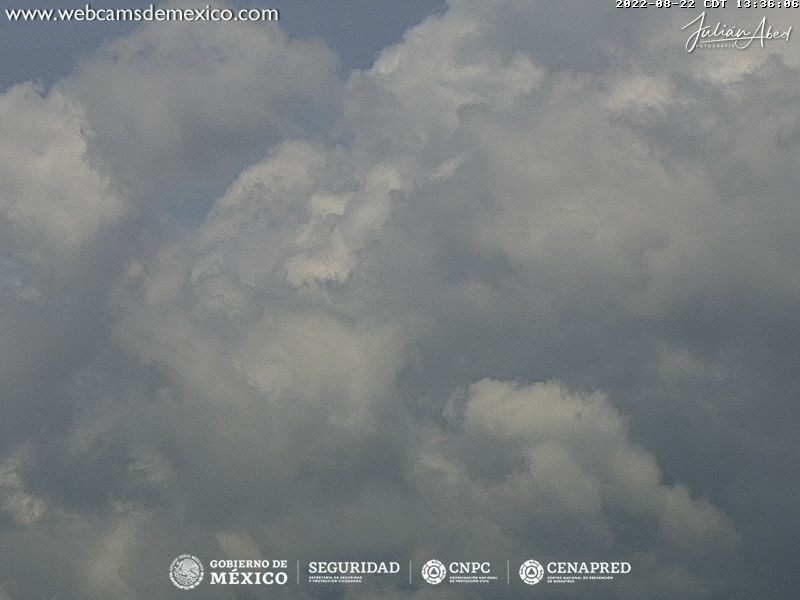 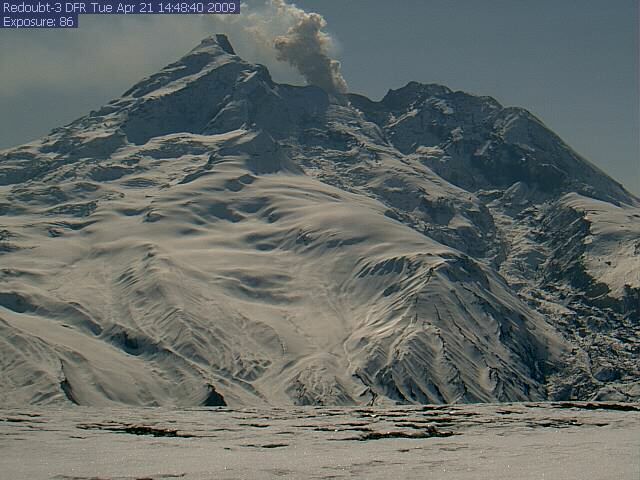 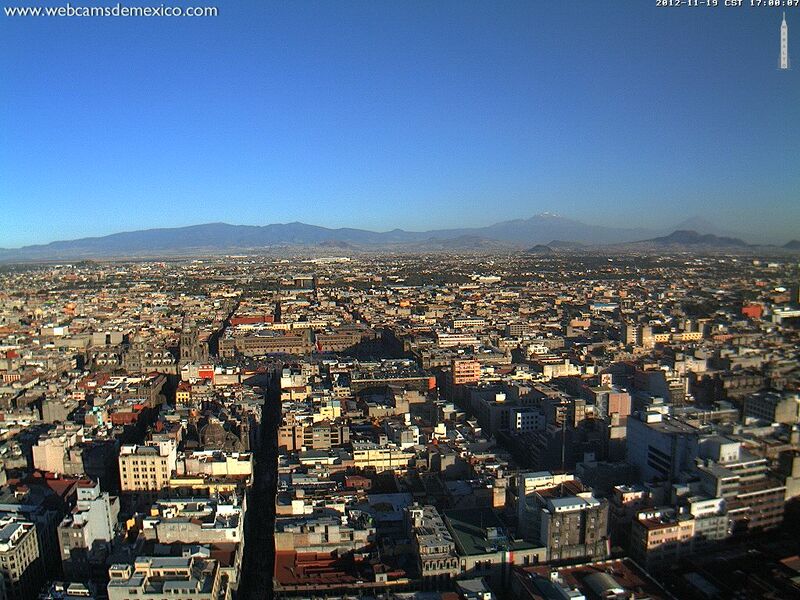 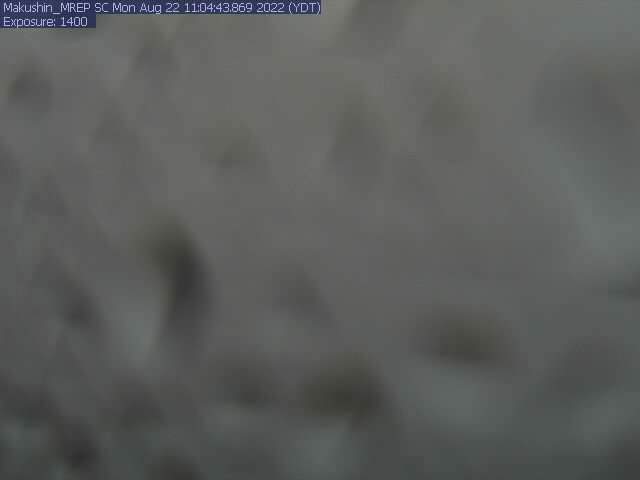 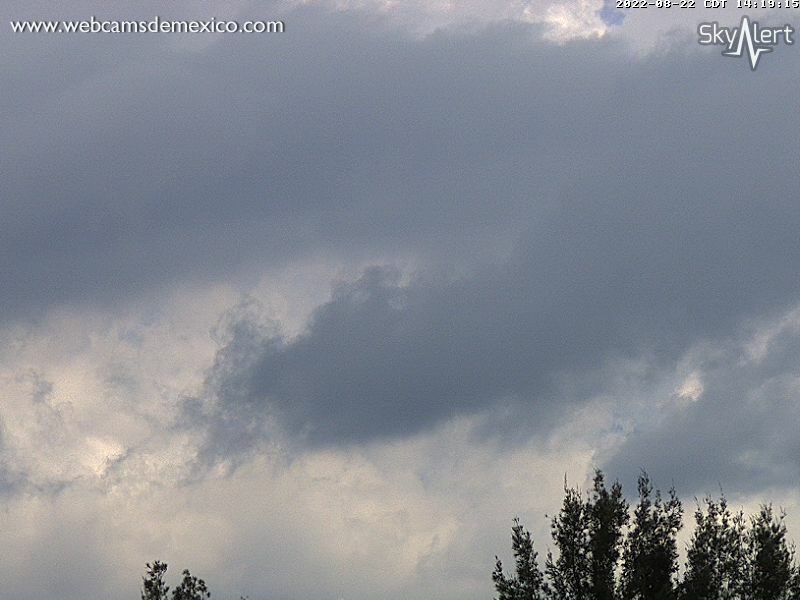 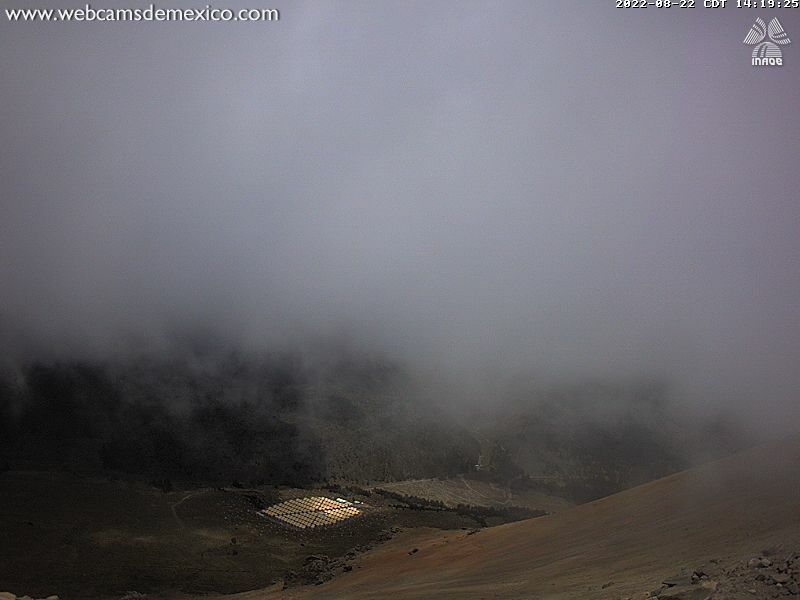 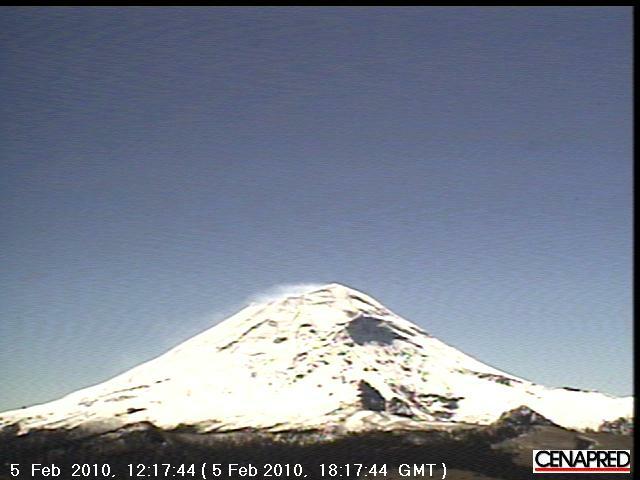 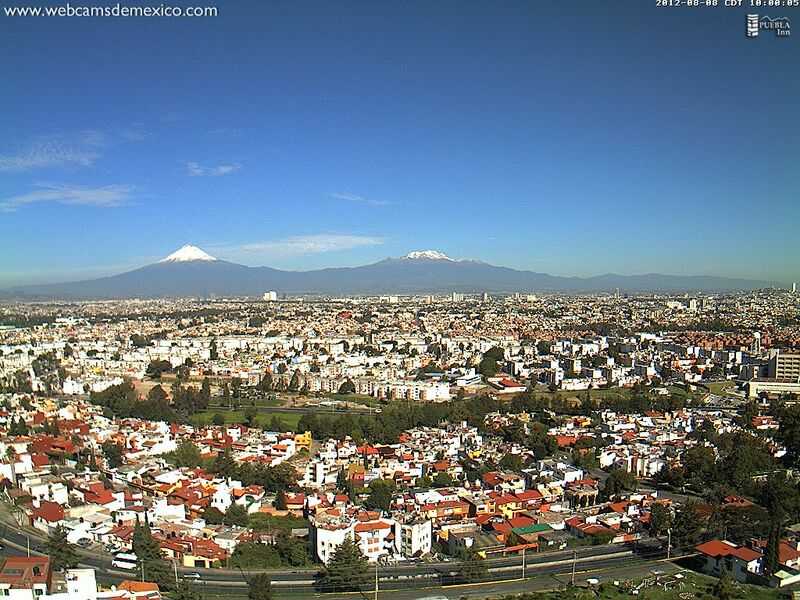 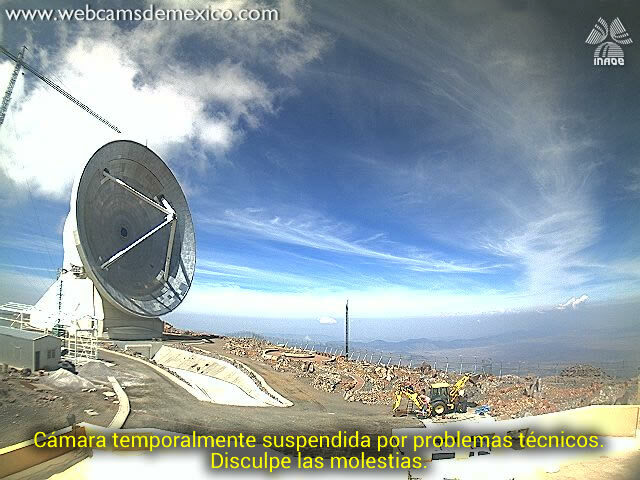 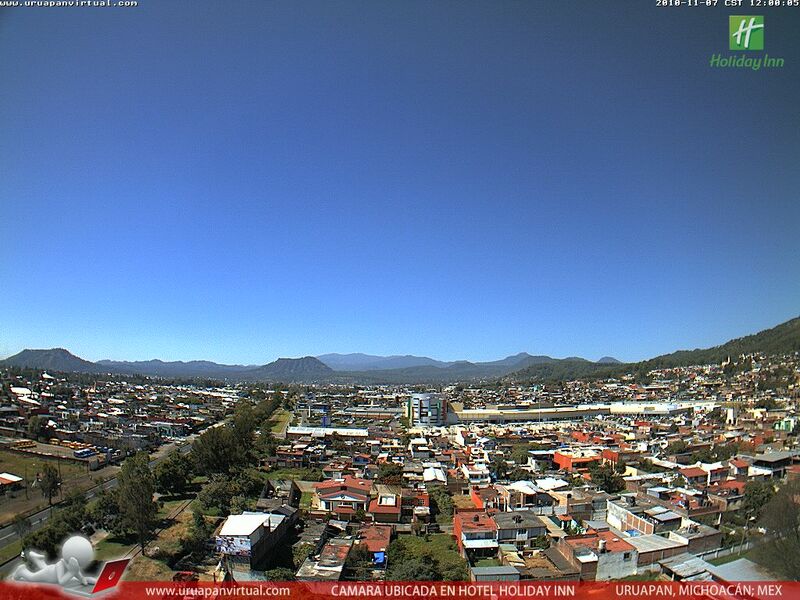 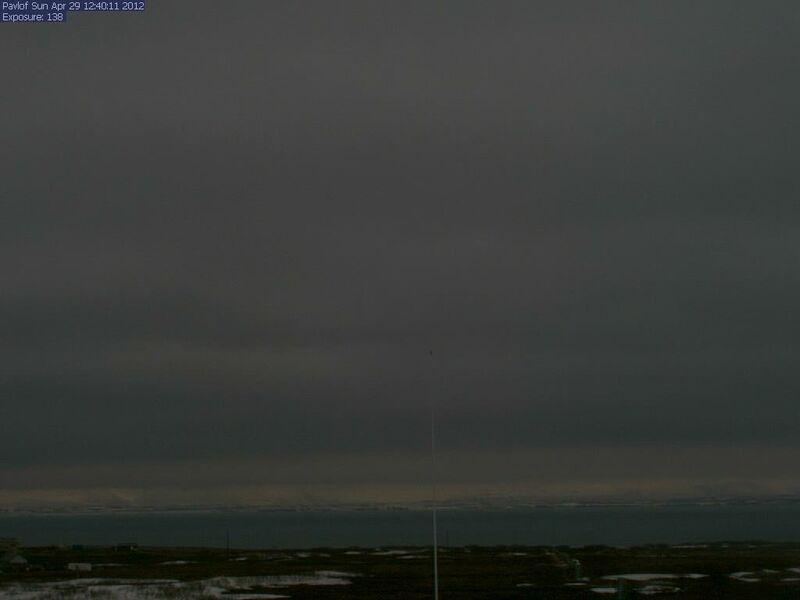 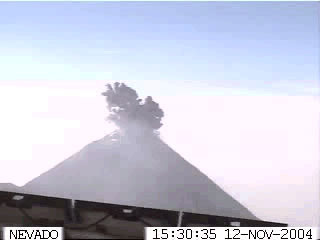 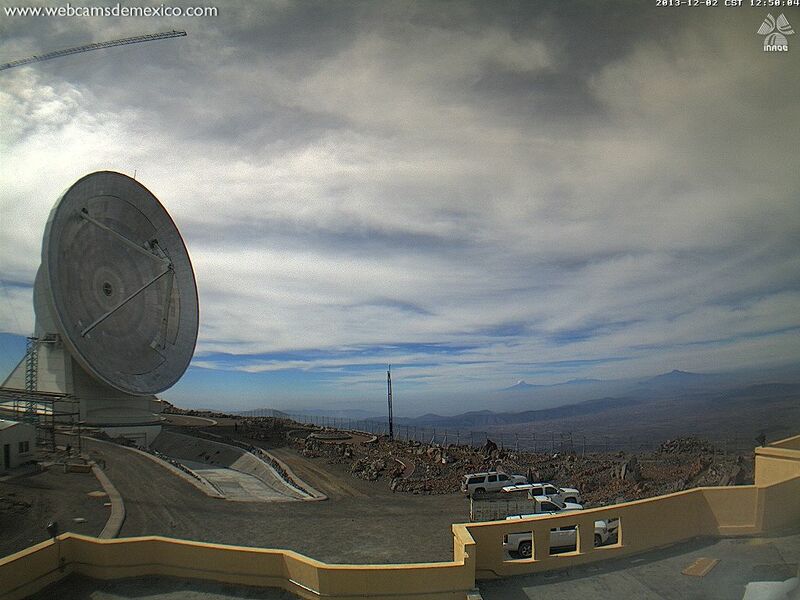 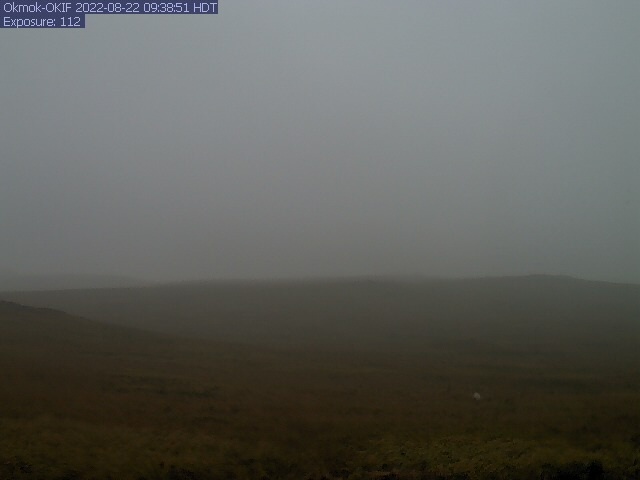 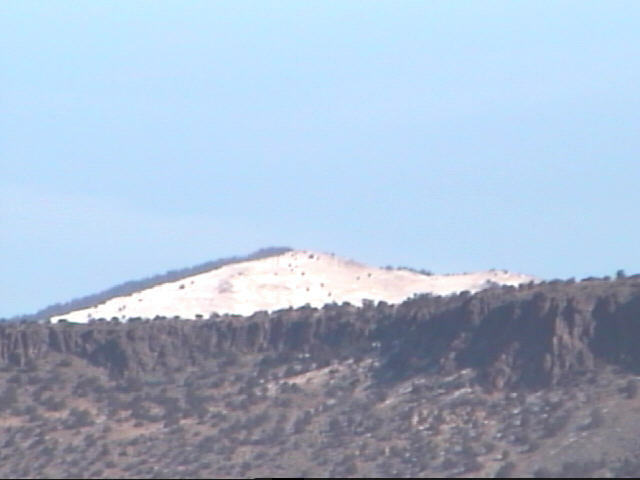 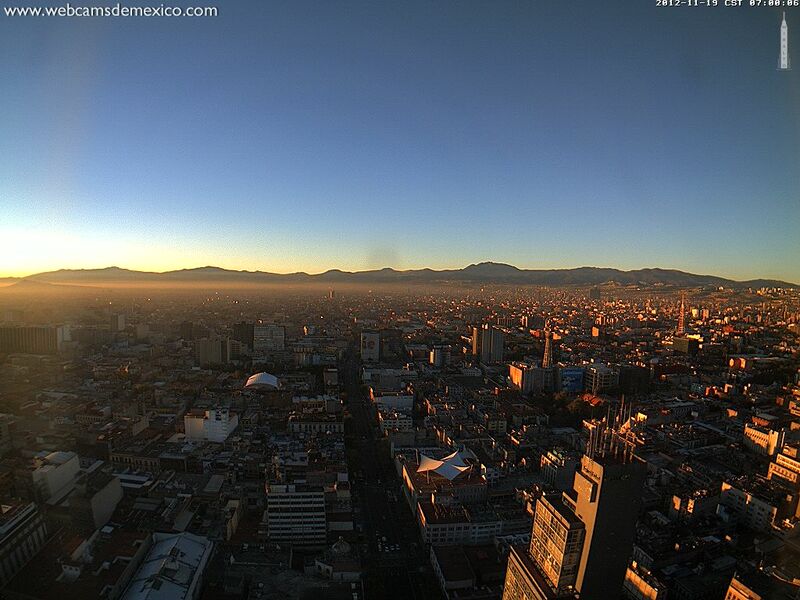 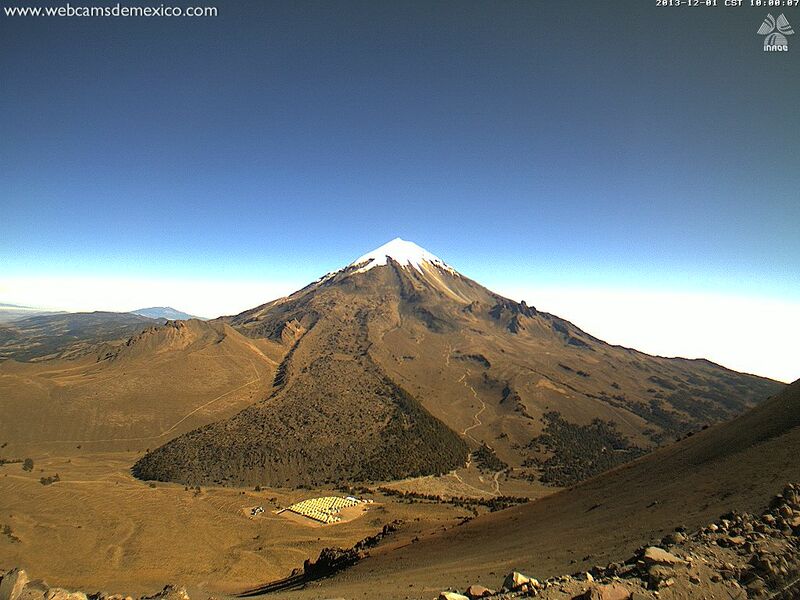 However, the very highest webcams shown on this page are the 2 new webcams installed in September 2013 near the summit of Sierra Negra in Mexico at just over 15000 ft, which are now the highest webcams in North America and apparently the highest in the world outside the Mount Everest base camp region. 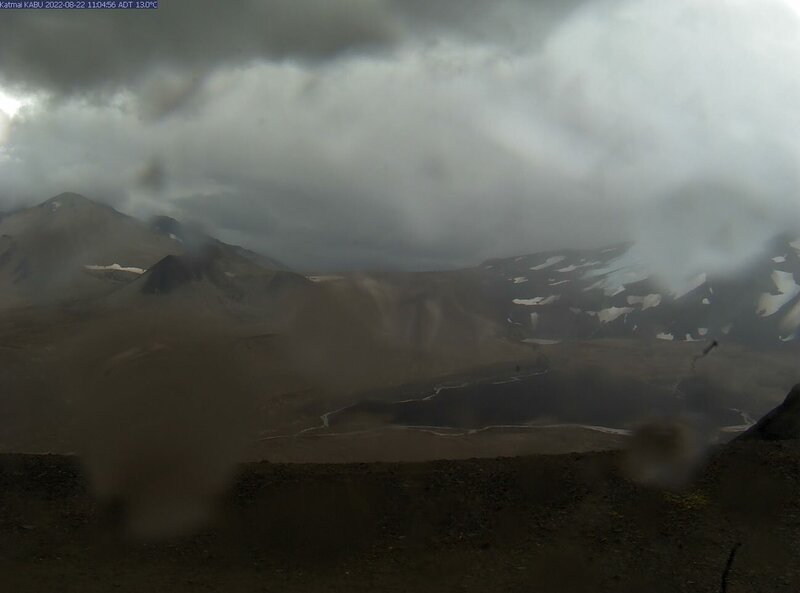 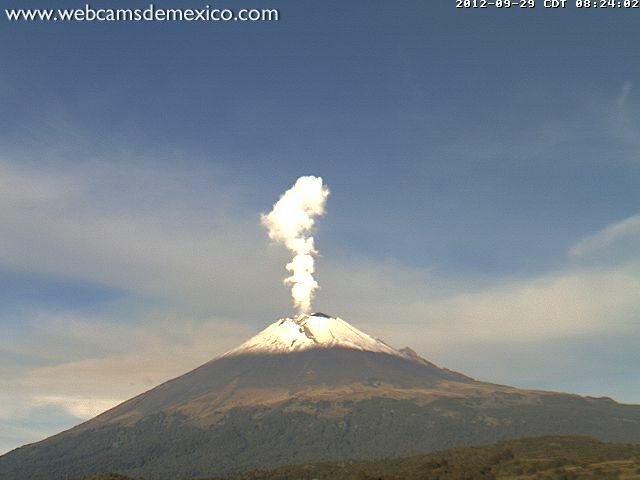 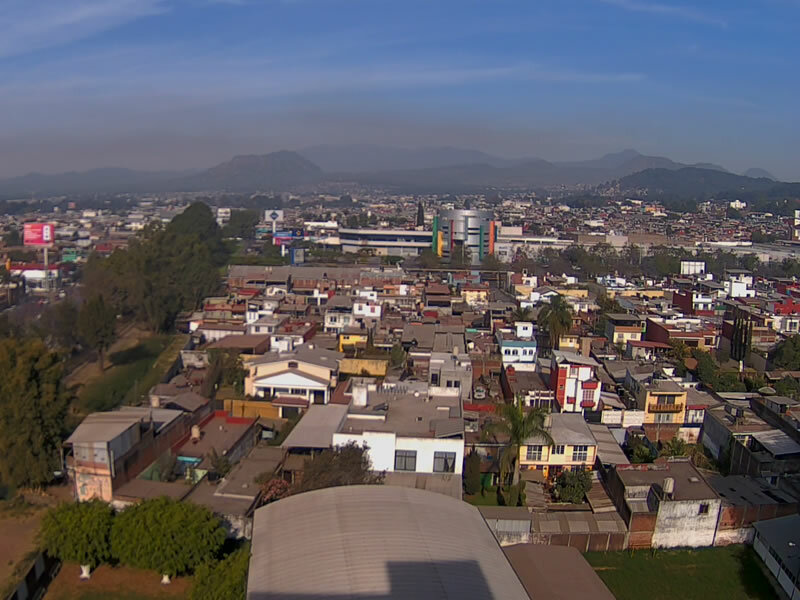 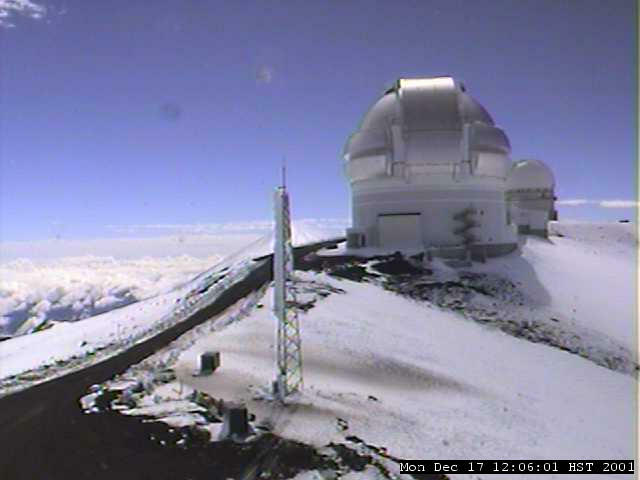 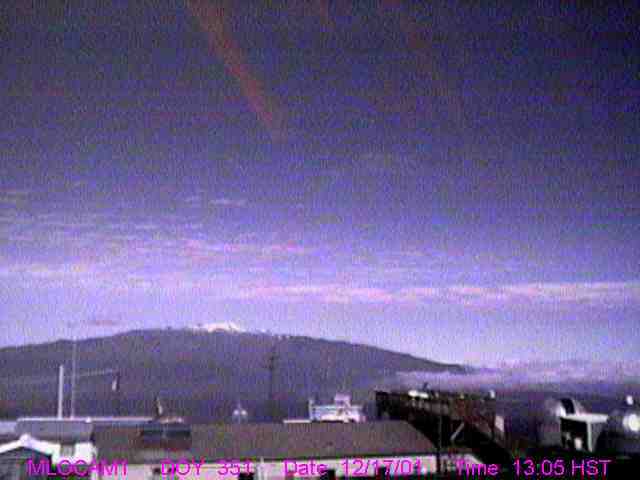 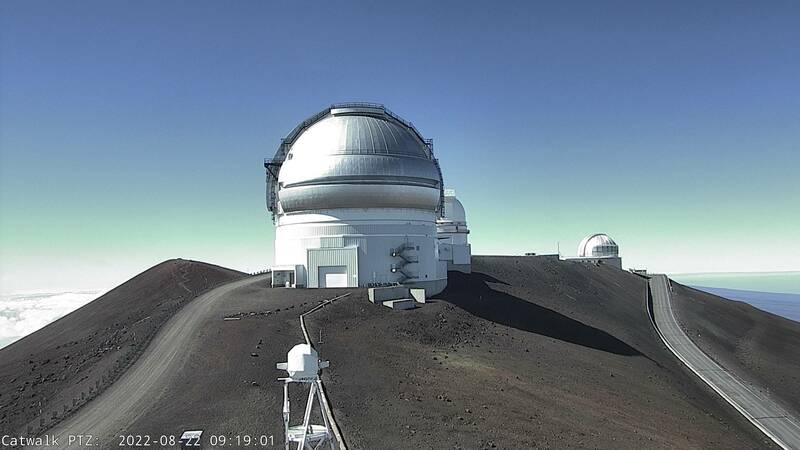 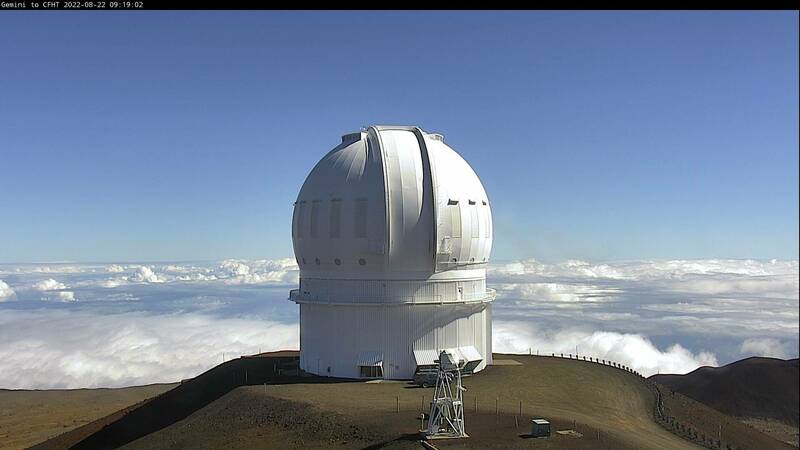 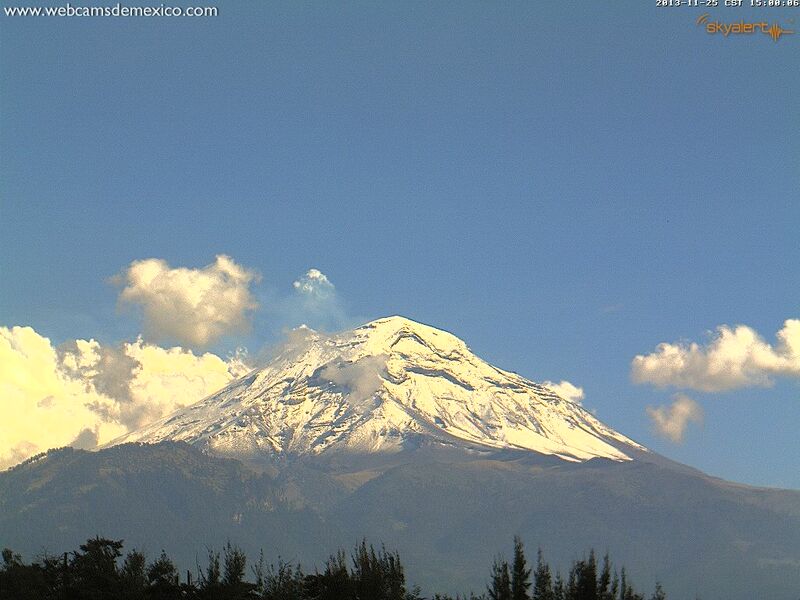 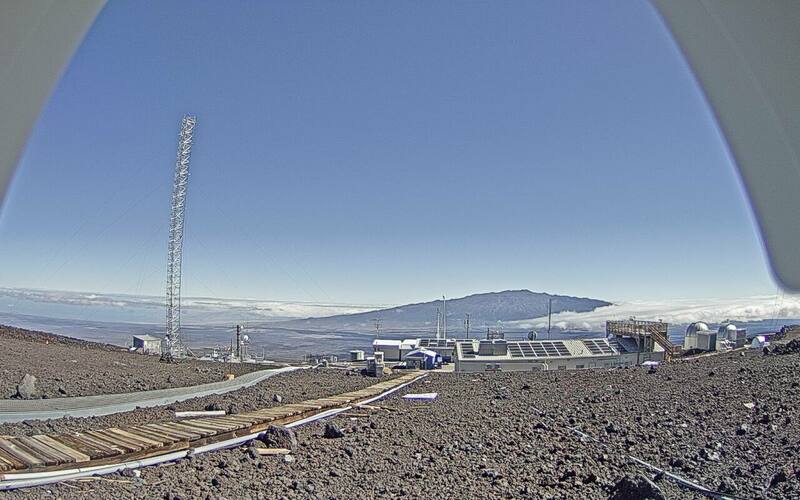 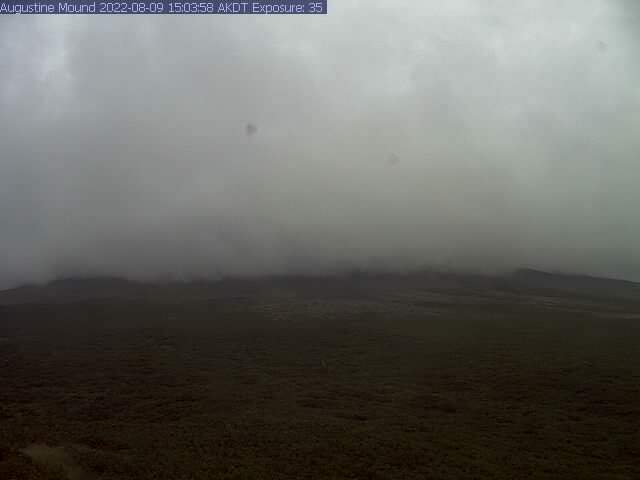 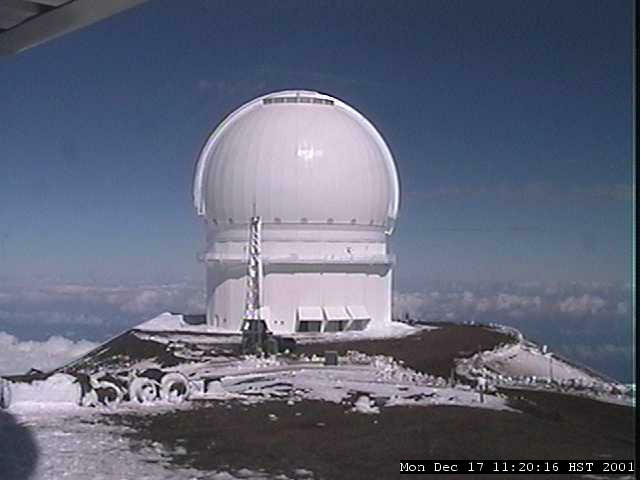 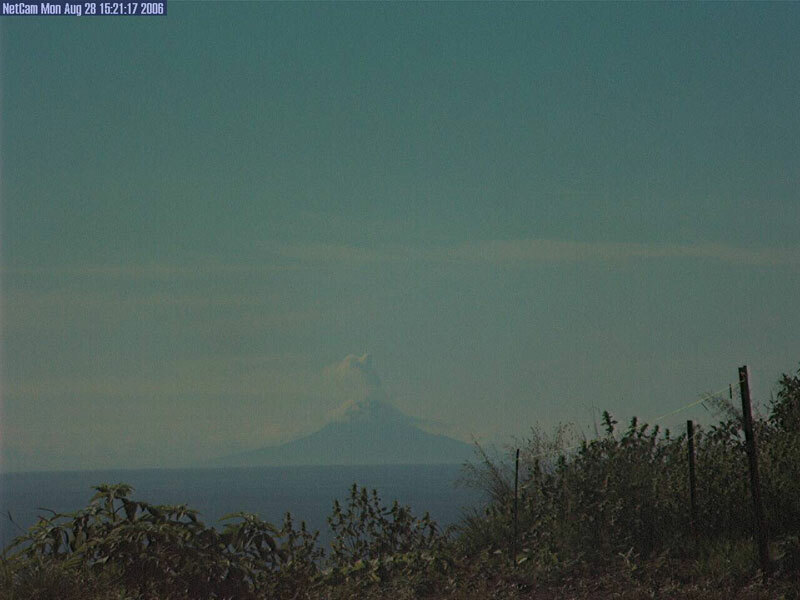 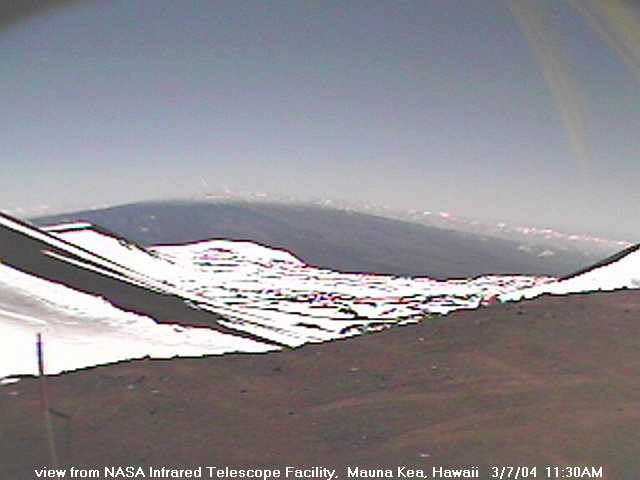 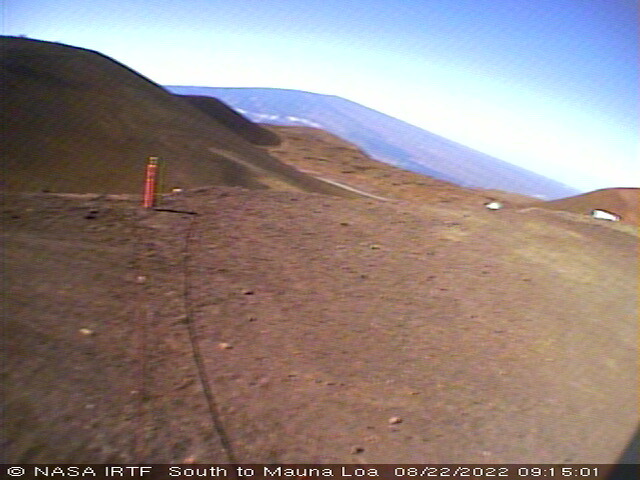 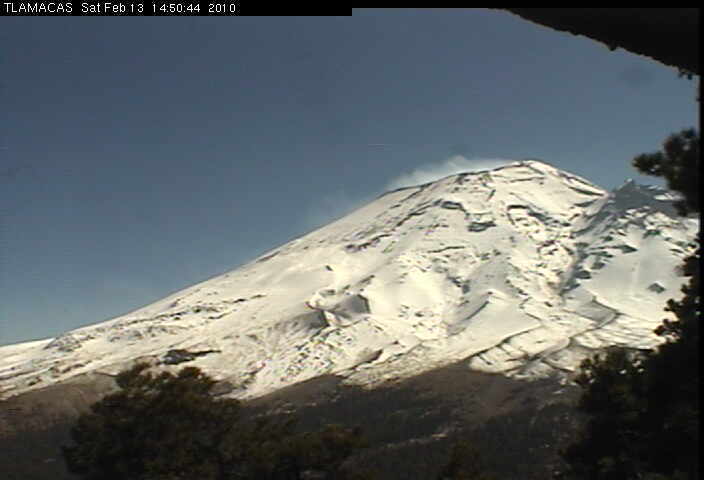 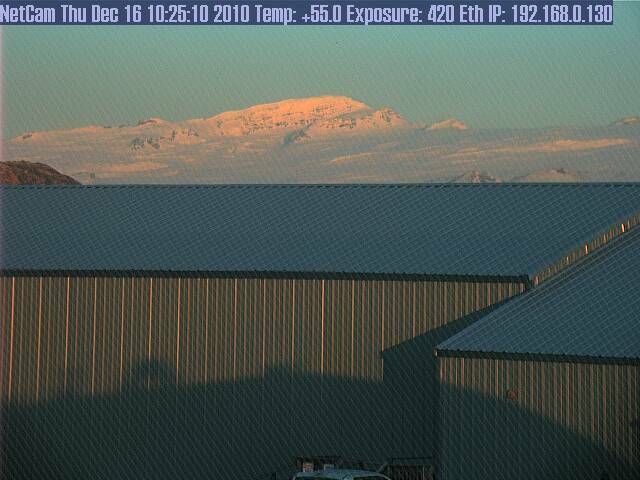 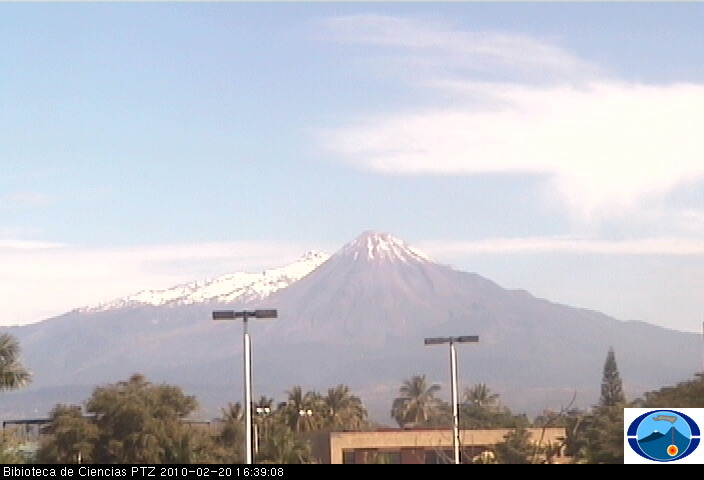 Previously, the highest webcams shown had been those near the summit of Mauna Kea in Hawaii at over 13700 ft, followed by the Mauna Loa caldera cam at about 13650 ft, and a couple of the other Mexican volcano cams located at over 13000 ft. 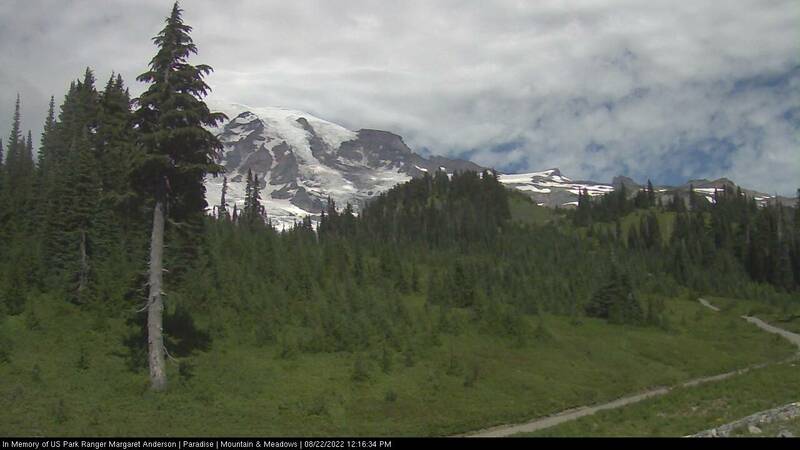 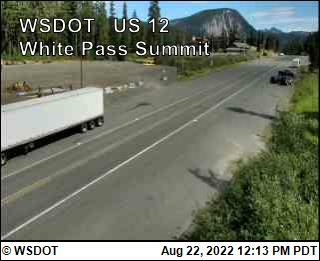 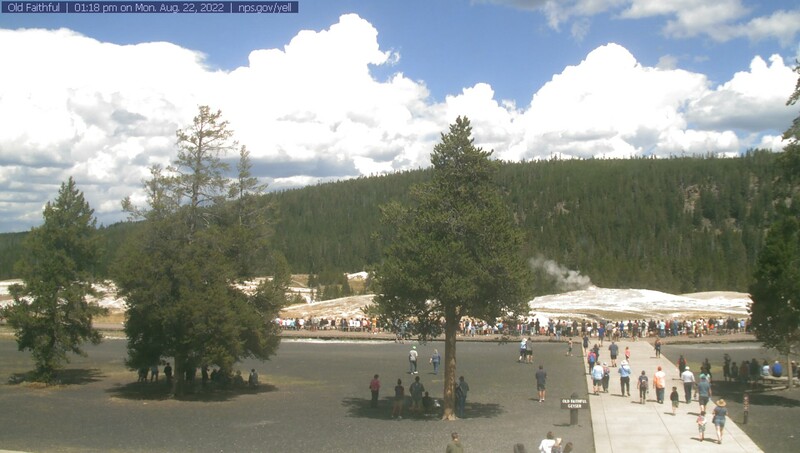 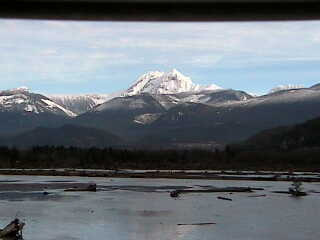 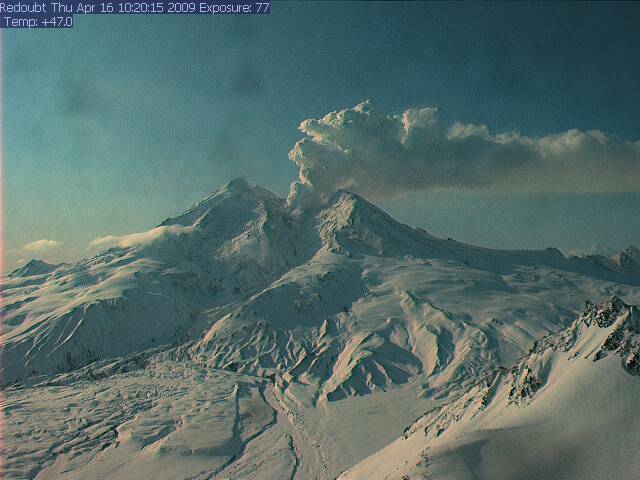 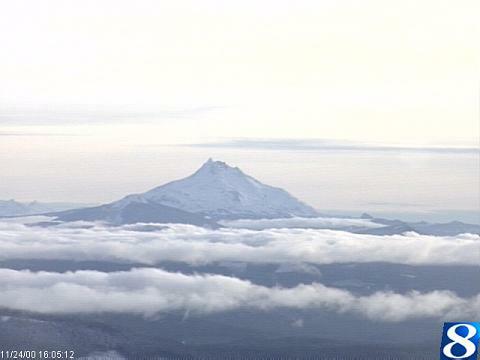 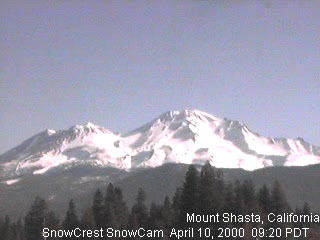 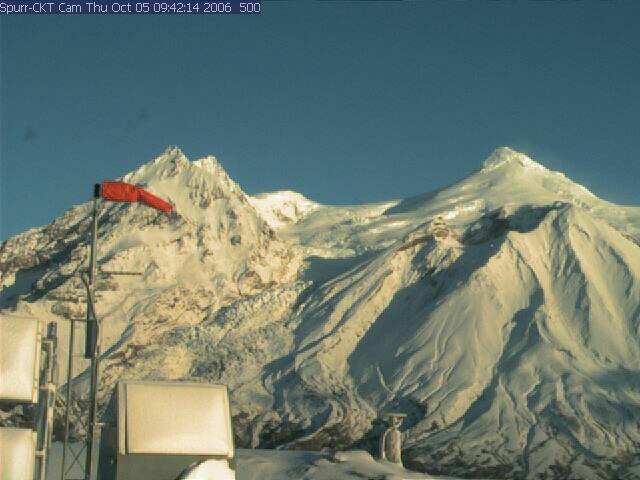 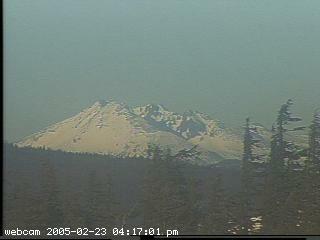 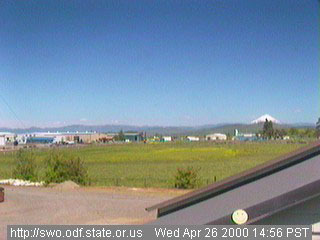 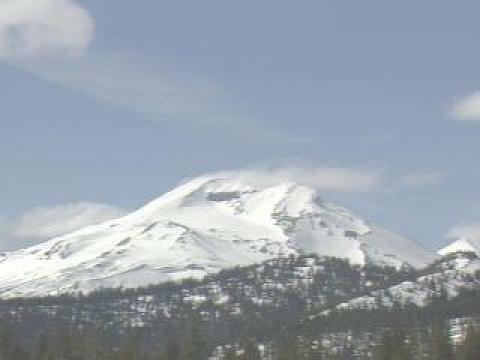 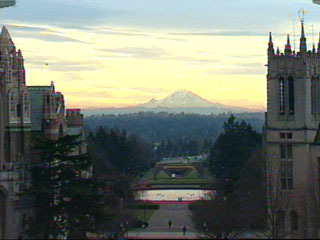 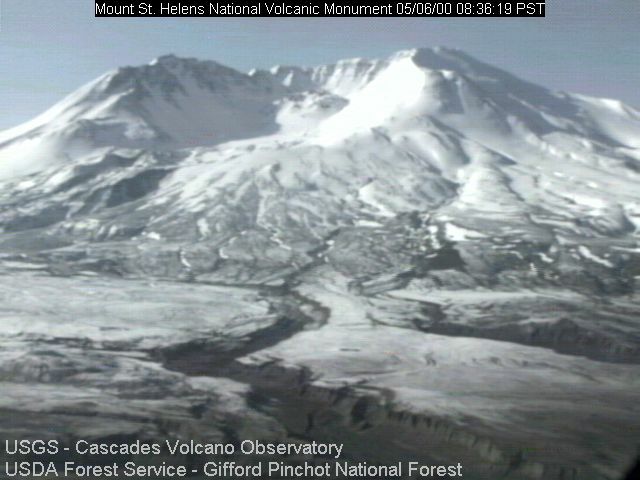 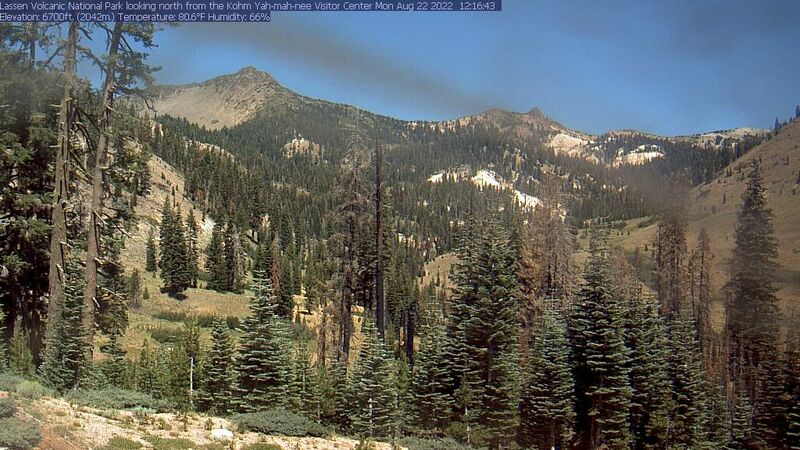 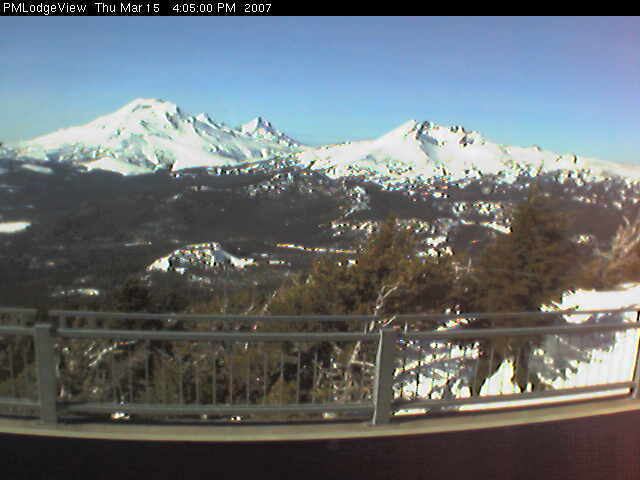 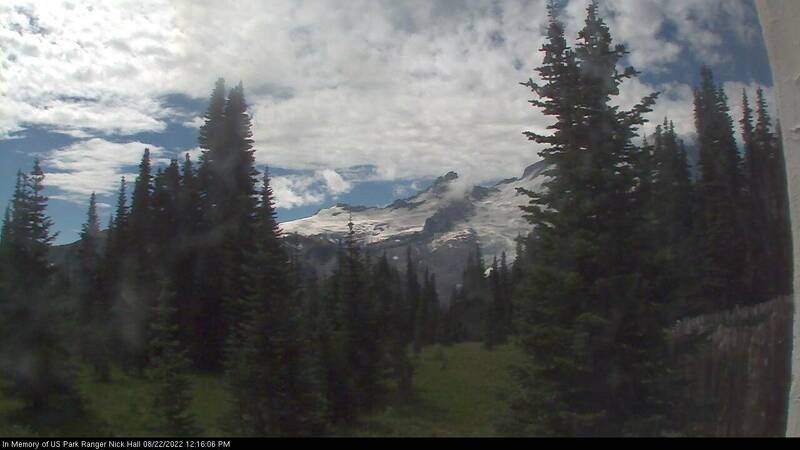 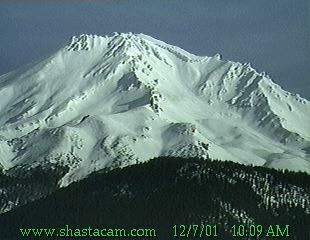 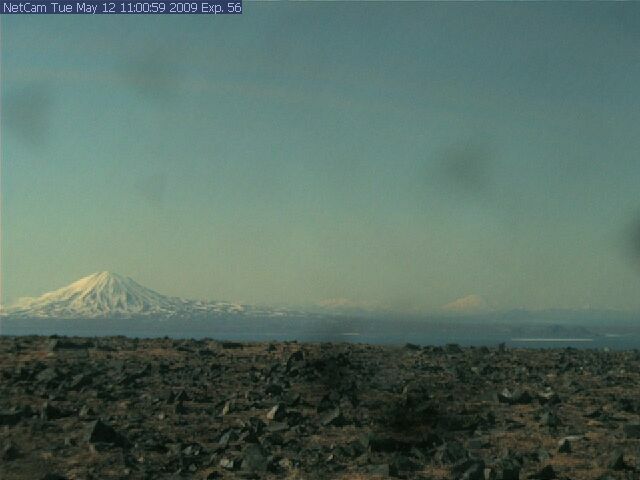 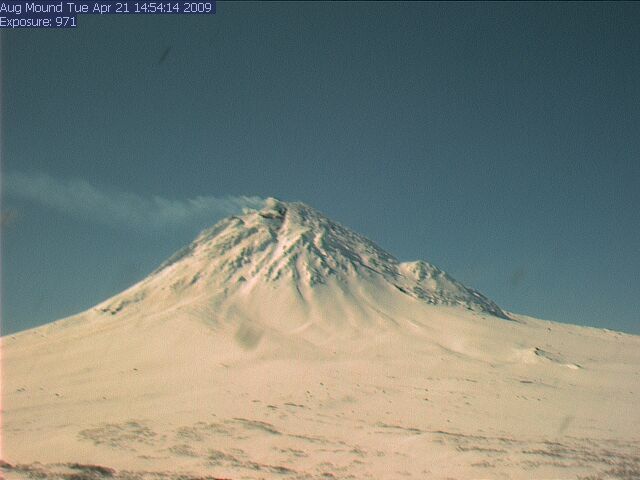 If you know of any other webcams showing Cascade volcanoes or other North American volcanoes, please email me (thanks). 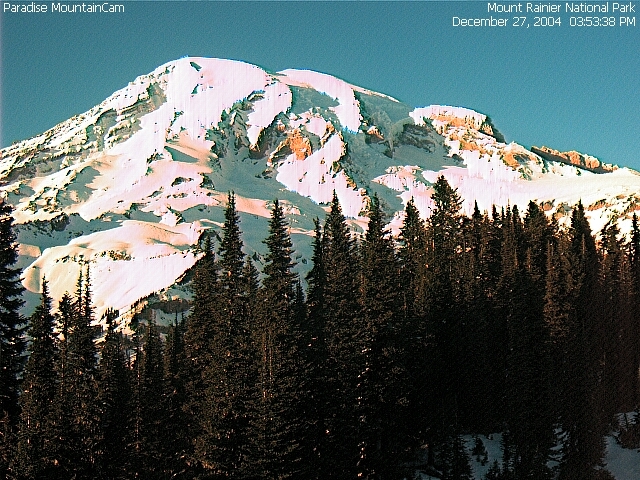 Note that all webcam links on this page are set to open in a single separate window. 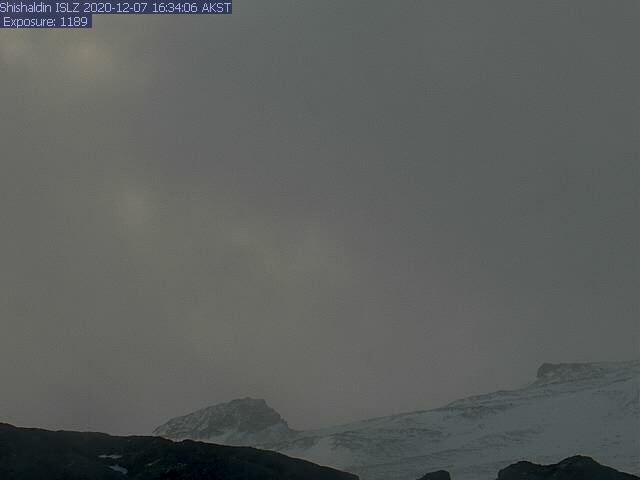 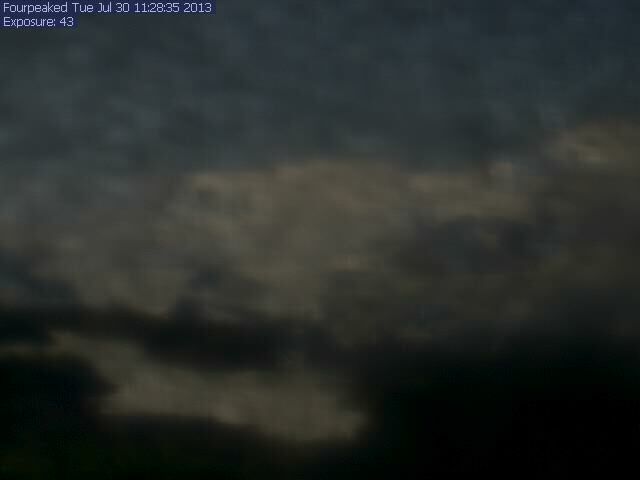 This page itself is not set to automatically update, so please Refresh or Reload the page to update the webcam images. 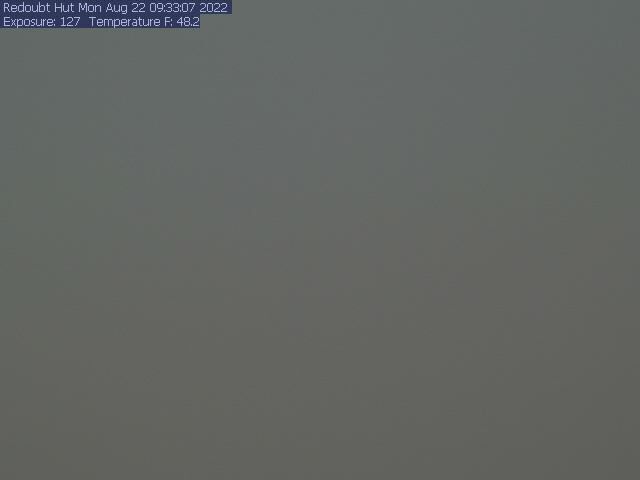 Current weather data for the nearest cities can be optionally shown in the rightmost column (click here to show weather). 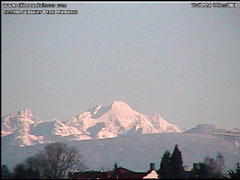 For those with HUGE widescreen monitors, this page can be viewed in two-column mode.  Current Global Map of Day and Night:. 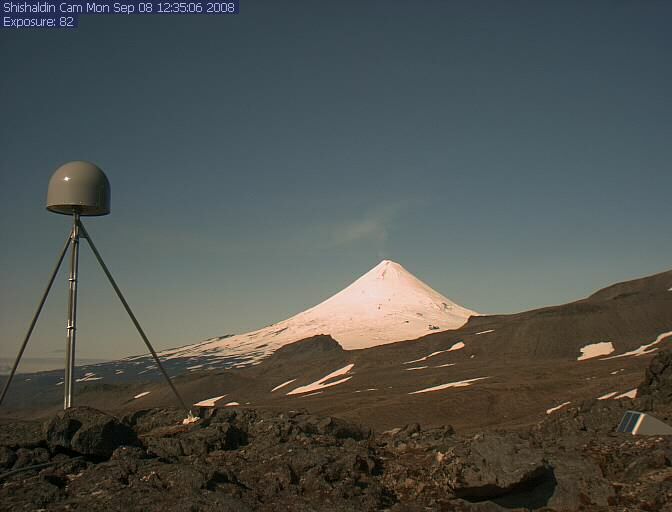 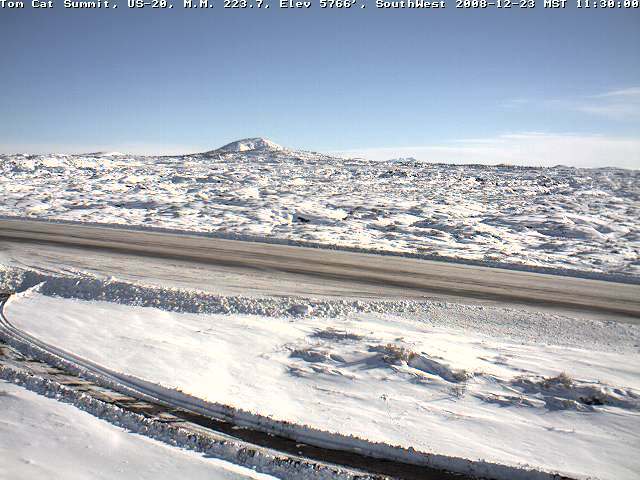 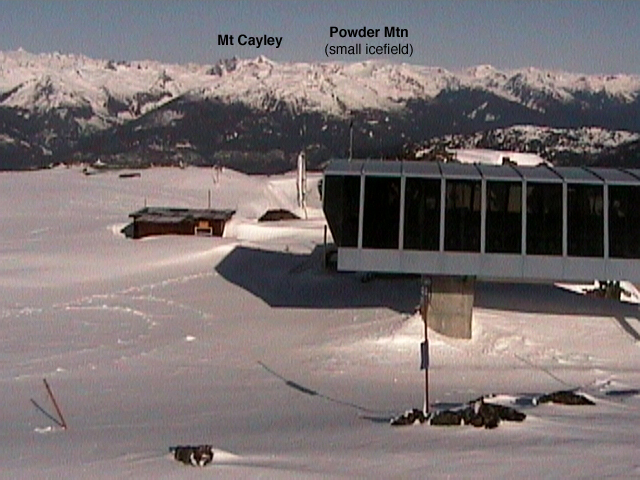 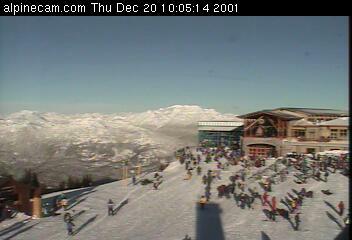 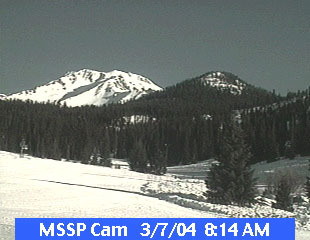 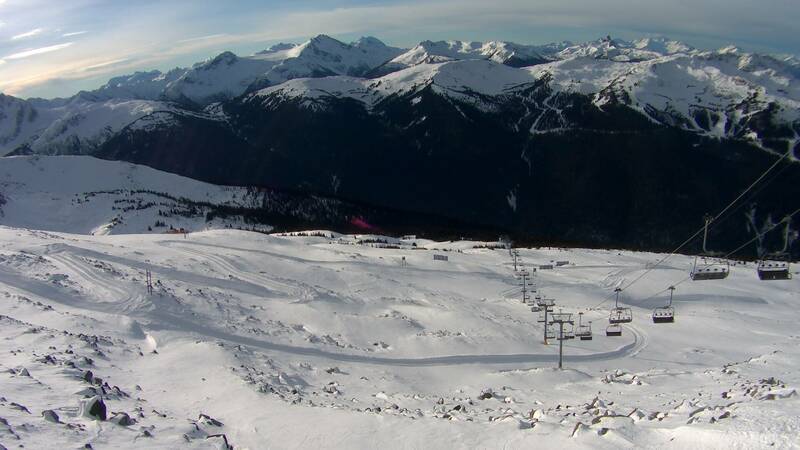 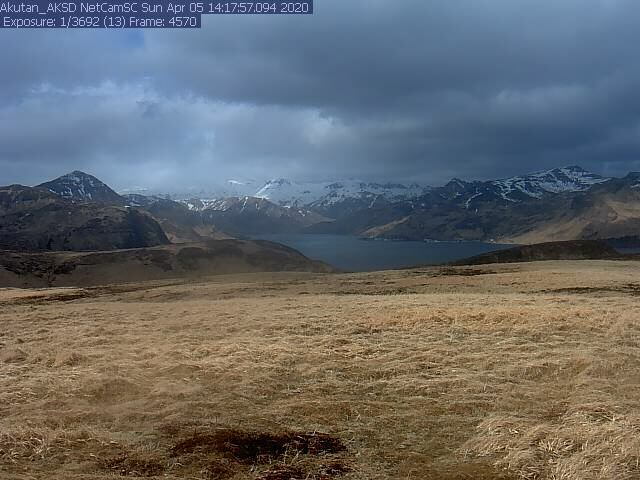 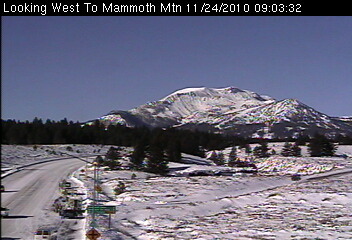 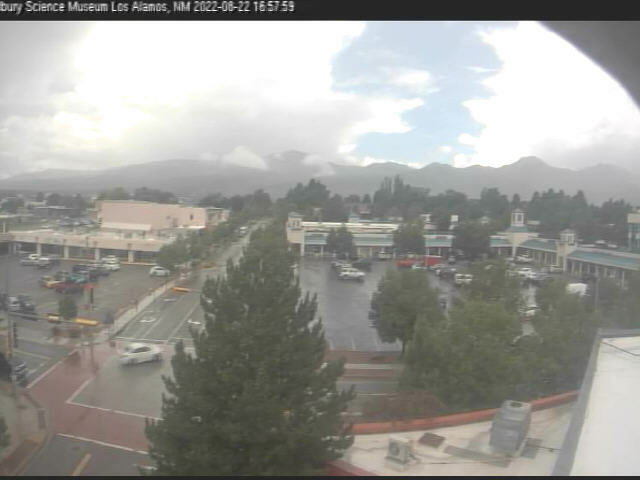 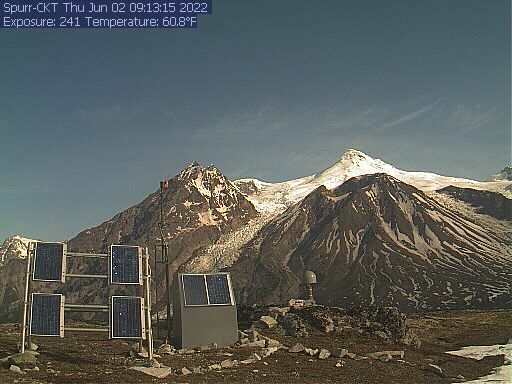 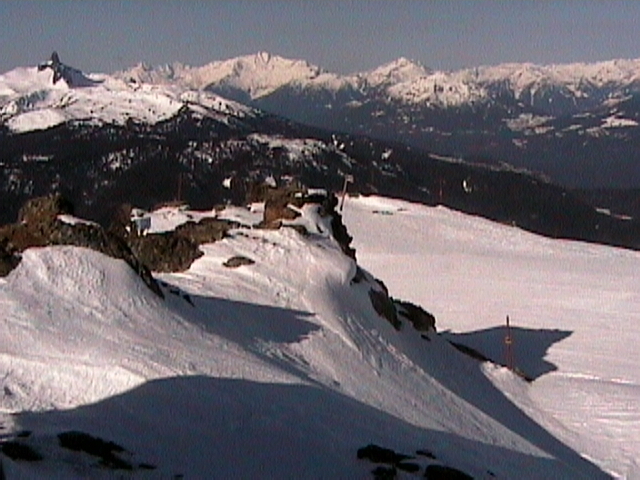 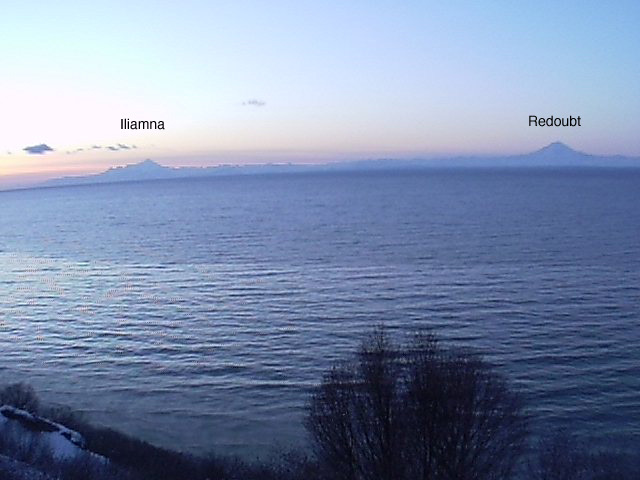 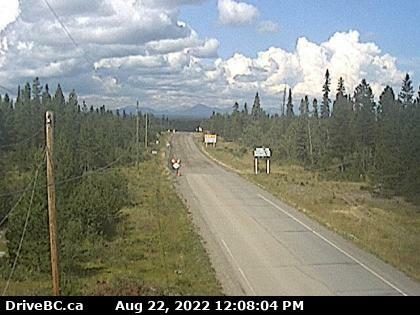 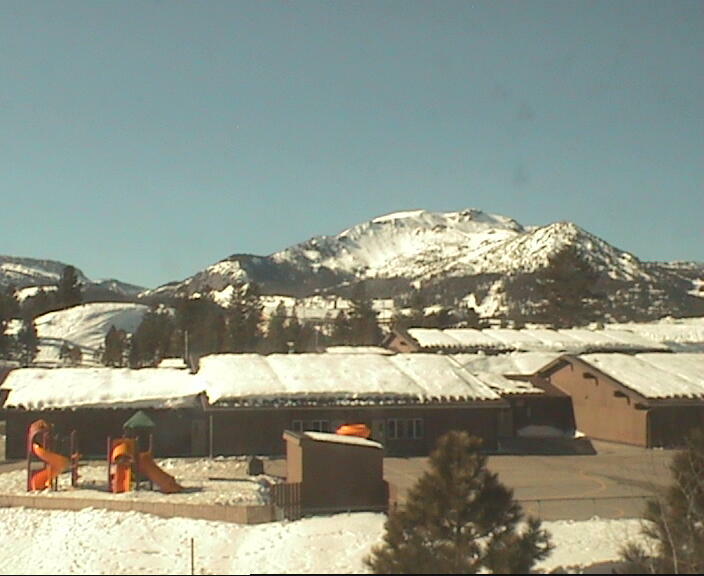 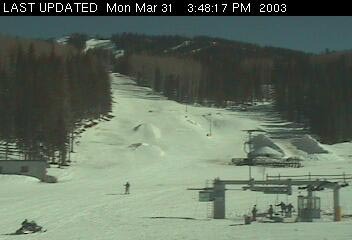 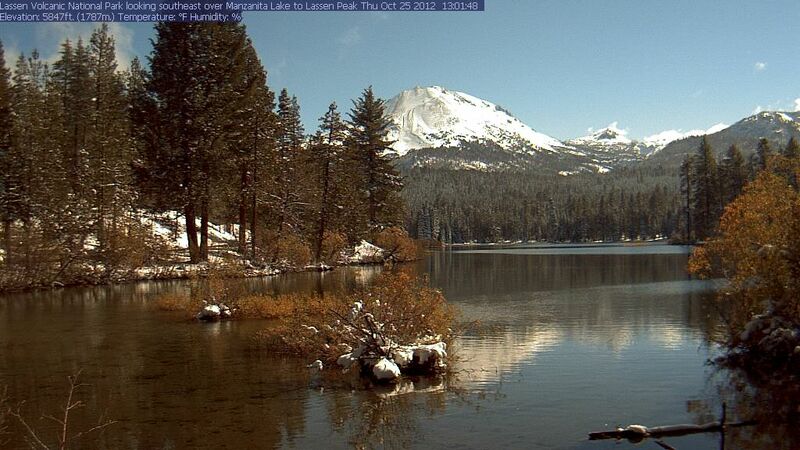 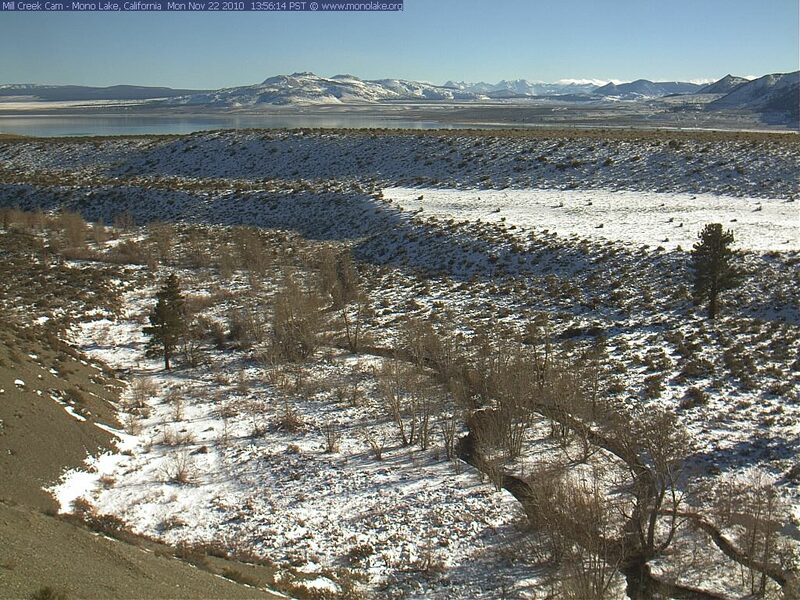 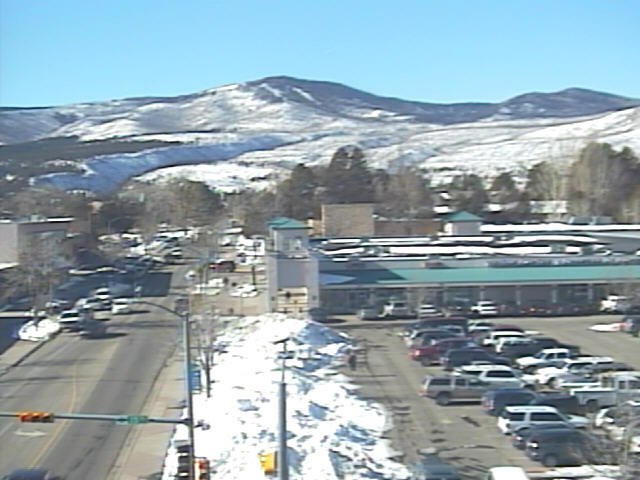 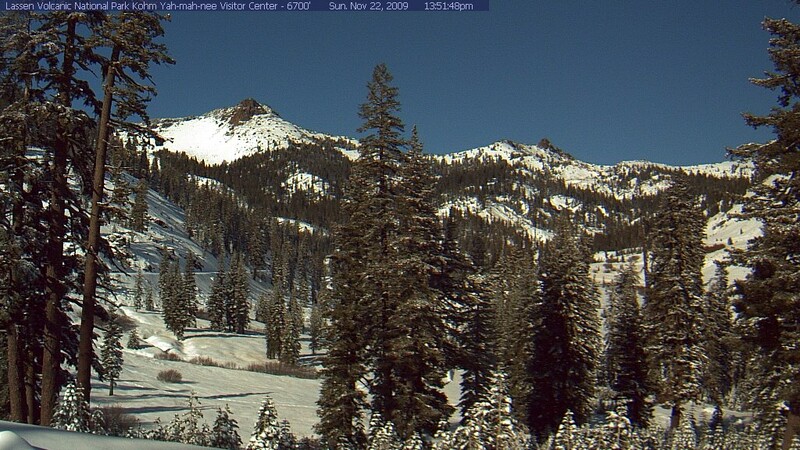 Many thanks to those who have set up and maintained these various webcams. 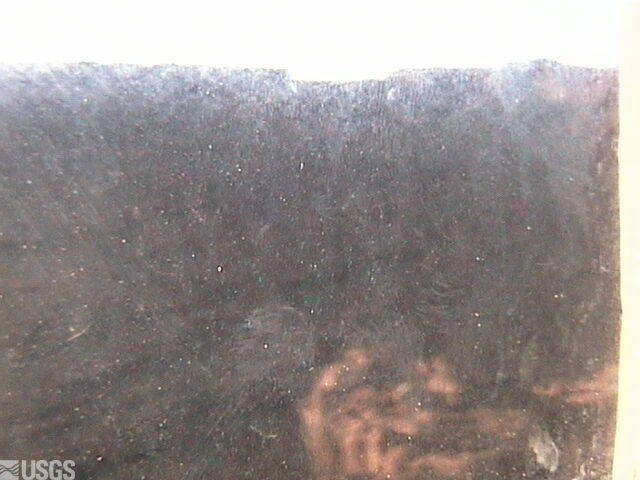 This page would be quite empty without their time and effort! 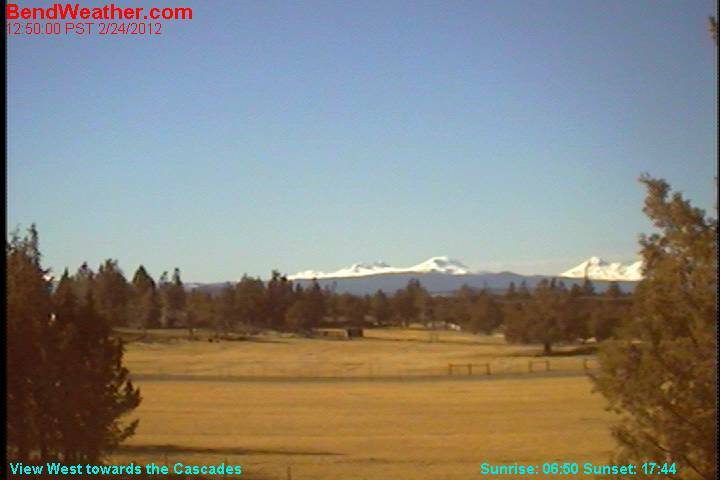 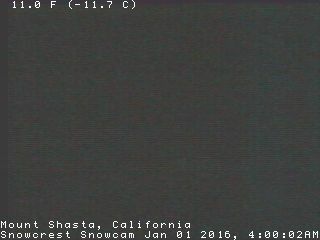 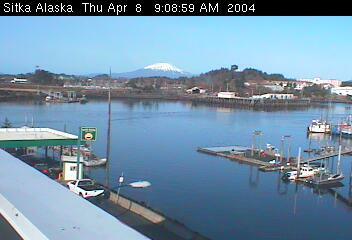 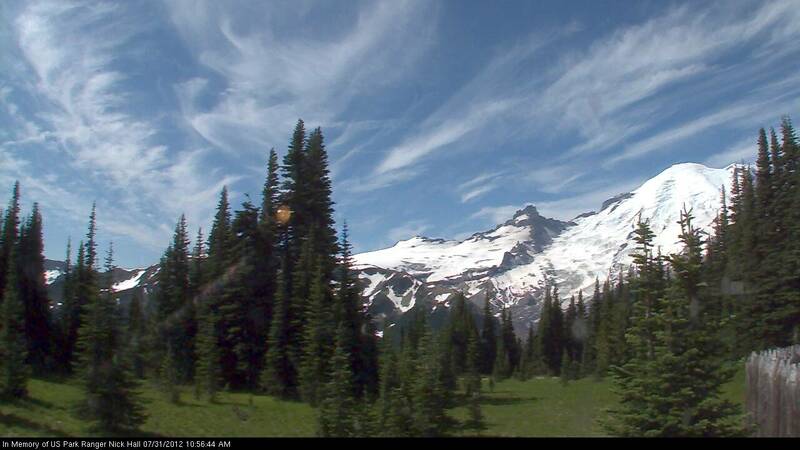 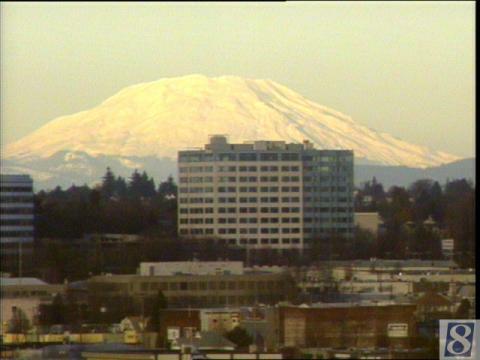 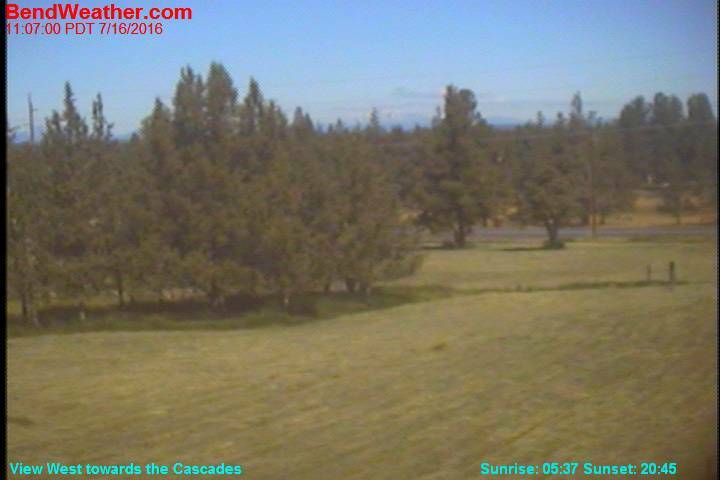 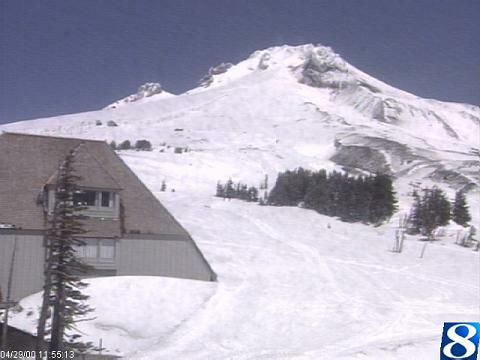 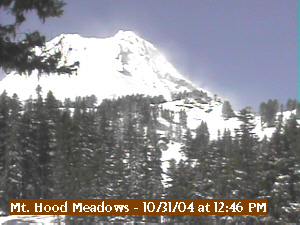 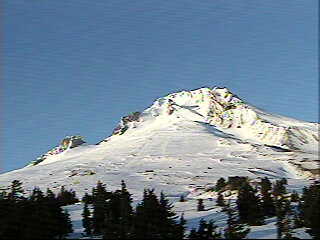 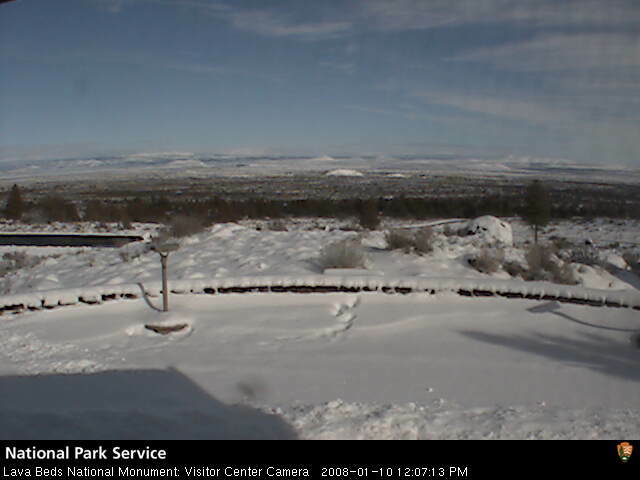 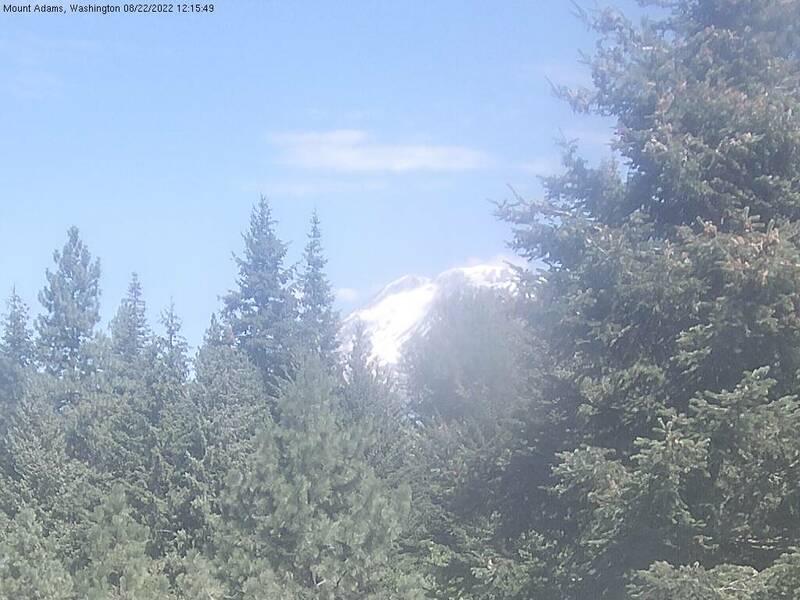 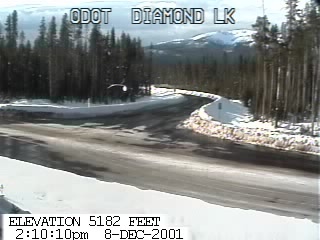 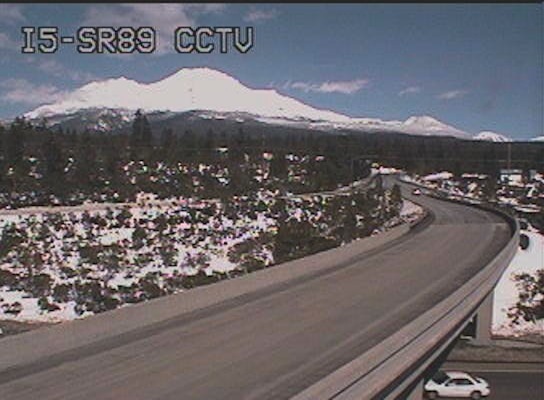 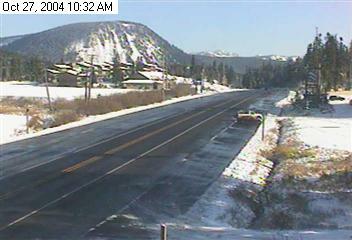 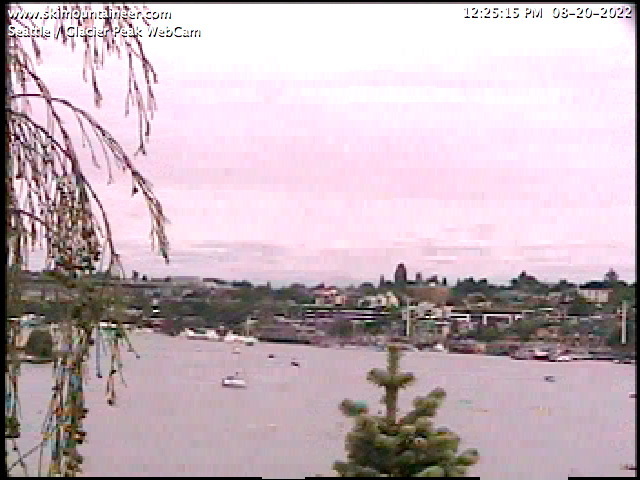 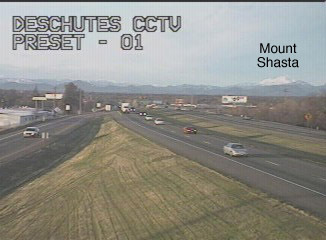 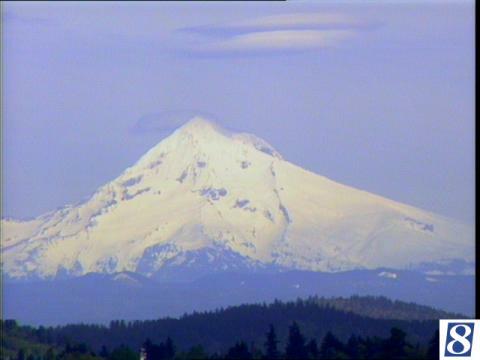 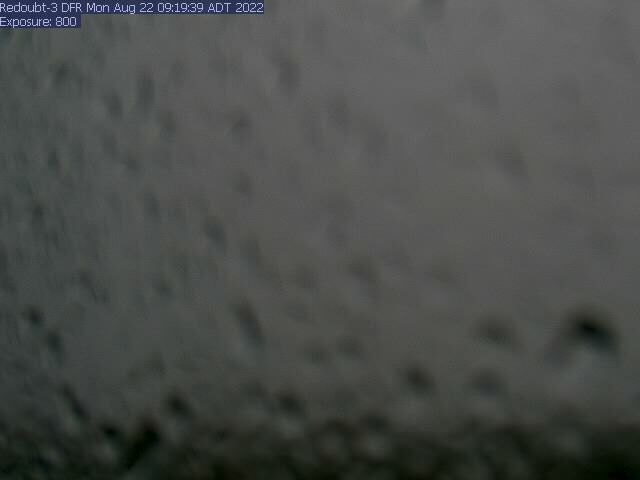 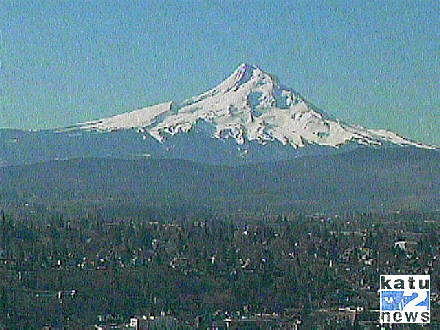 If you know of any other webcams showing Cascade volcanoes or nearby weather conditions, please email me (thanks). 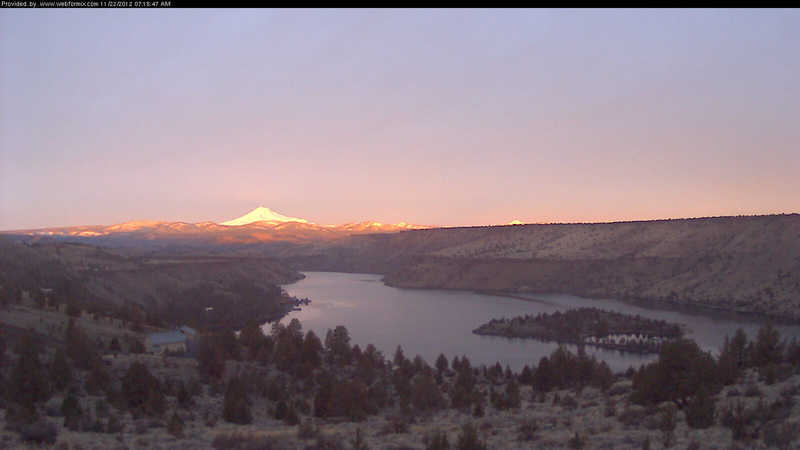 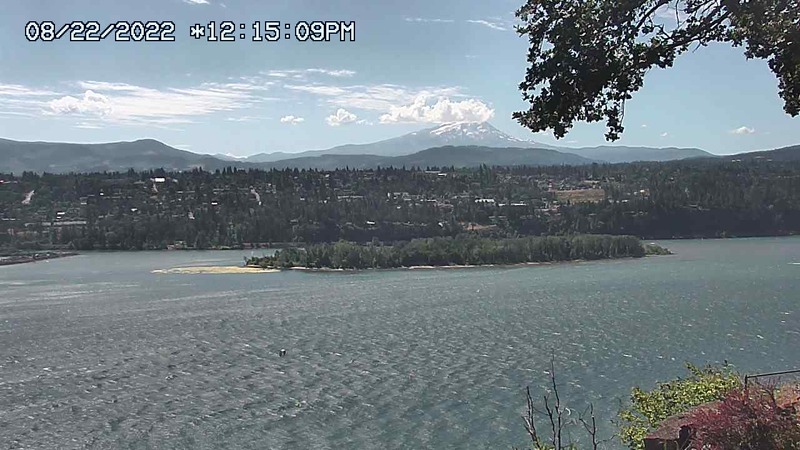 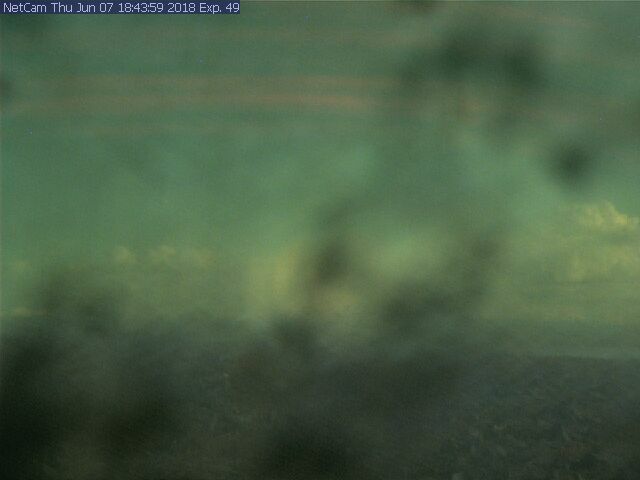 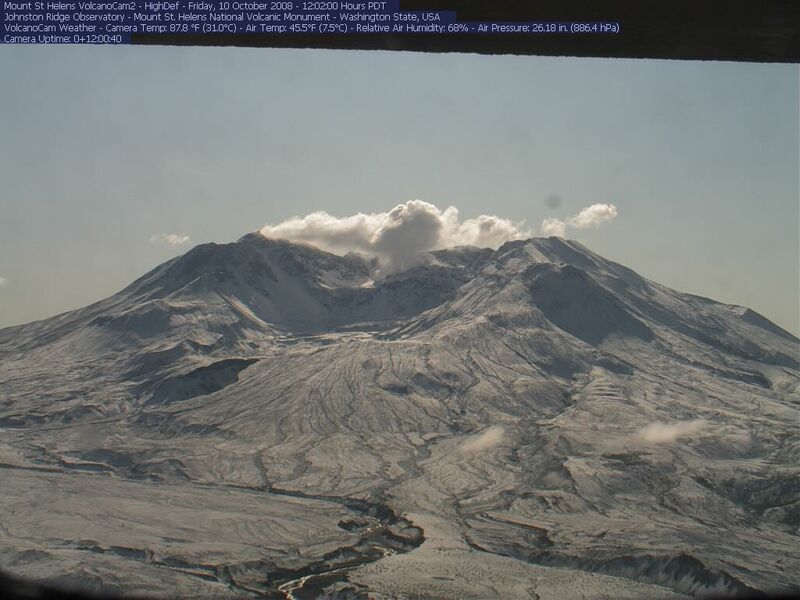 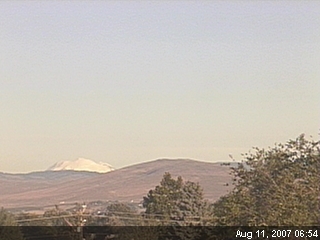 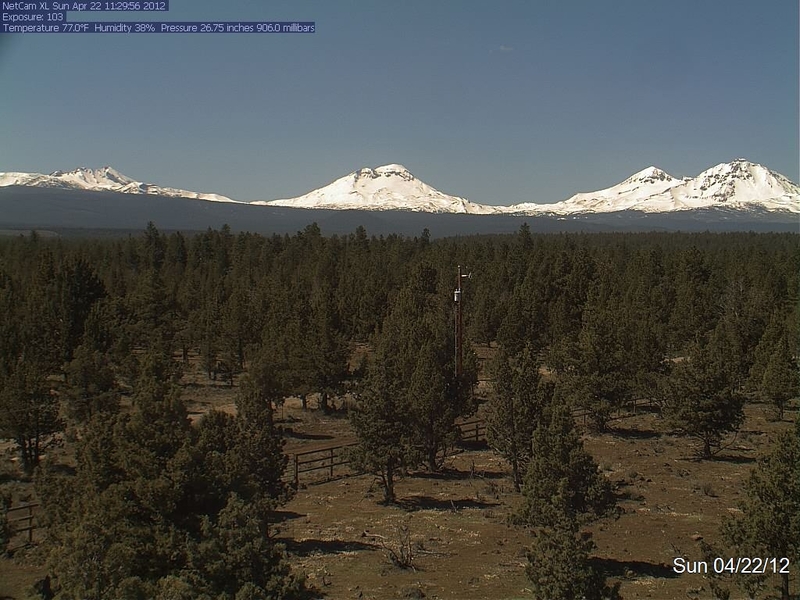 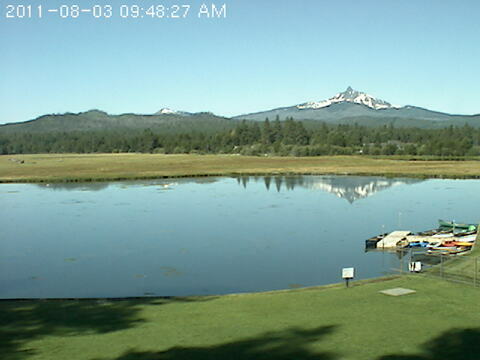 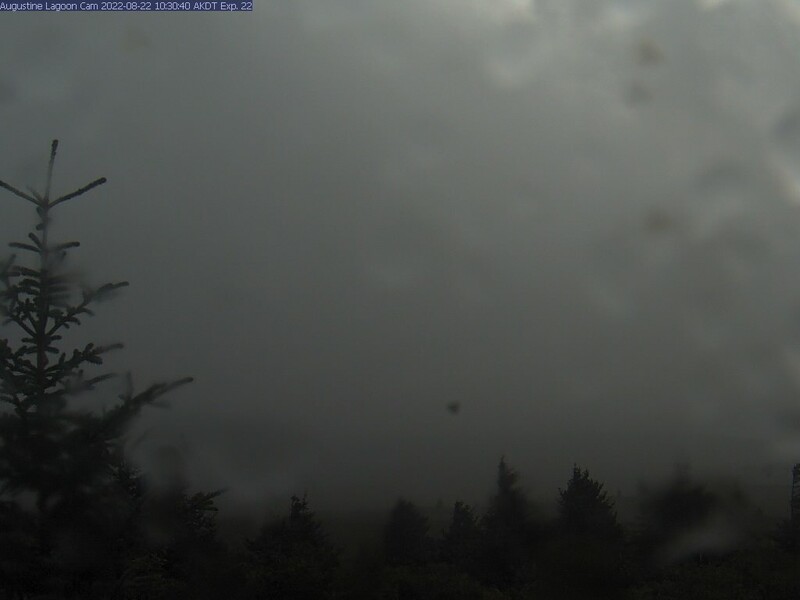 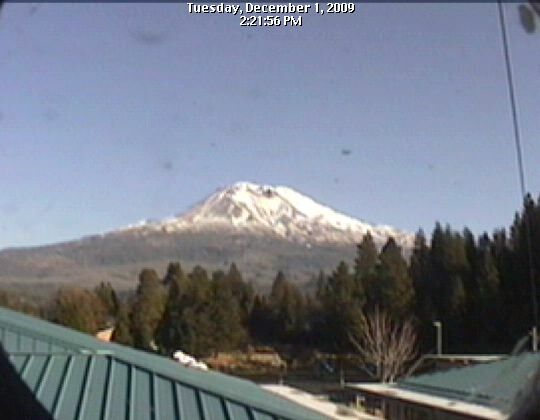 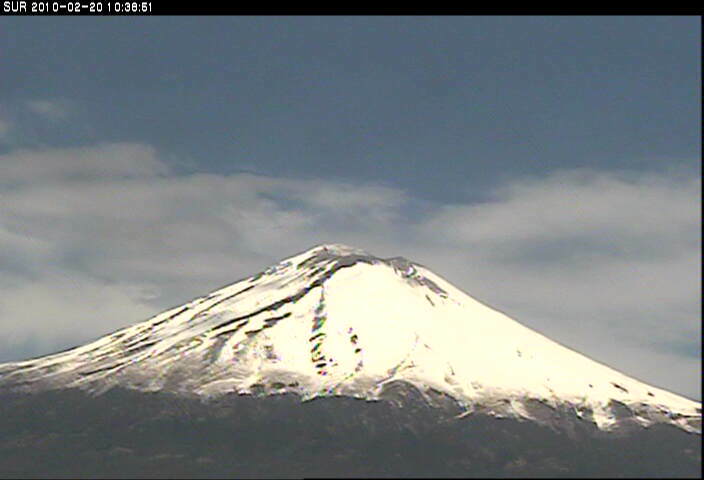 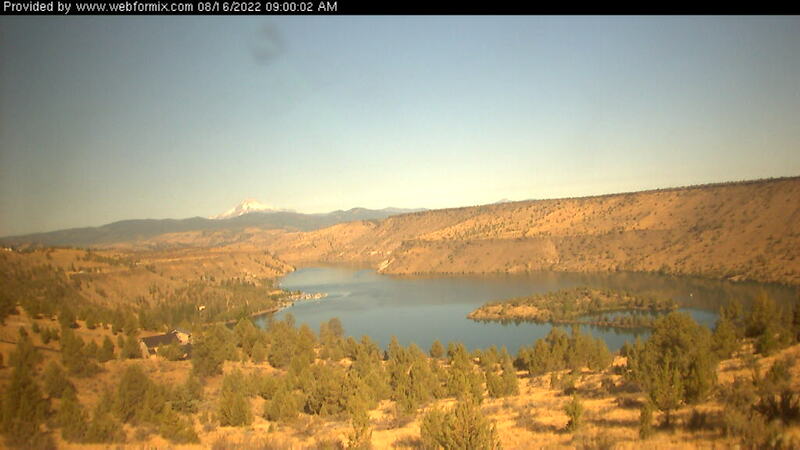 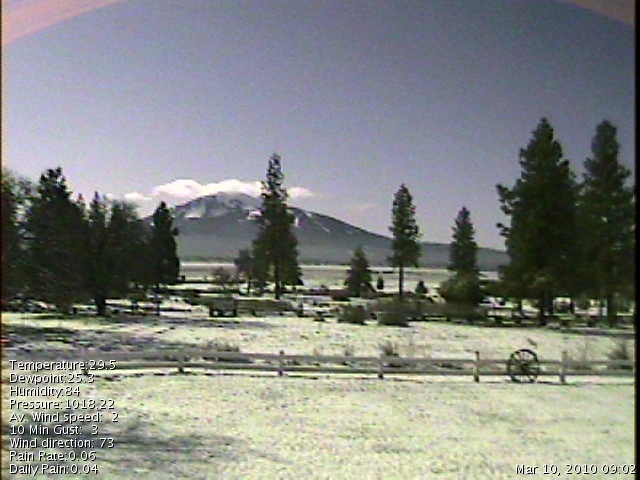 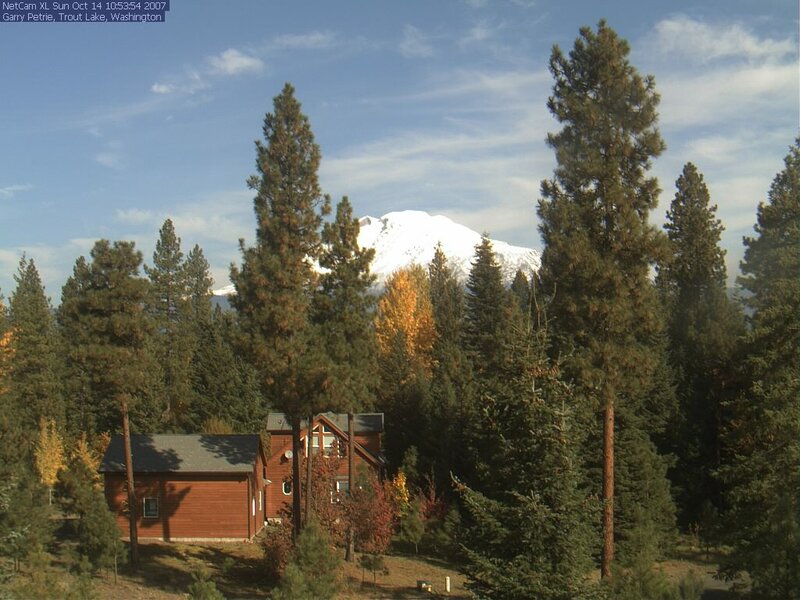 Click here to show the page history below for the Cascade Volcano WebCams page.